Serving a “House Cocktail” as guests arrive sets a welcome and festive tone. Bourbon is the quintessential American liquor and the perfect complement to Thanksgiving, the quintessential American holiday! Rosemary provides a seasonally appropriate fall accent. Best of all, it’s an easy and delicious start to Thanksgiving. If you are a guest this Thanksgiving, consider providing this House Cocktail for your host because easy home entertaining is a team sport. You can mix it all ahead of time and bring in a pitcher along with some rosemary sprigs and lemon slices. All your host needs to provide are the glasses and ice. There is no real substitute for fresh lemon juice though Whole Foods carries a jarred Lemon Juice product in the juice aisle that is acceptable. Under no circumstances use jarred Real Lemon available in standard supermarkets. Typically lemonade is made with equal parts lemon juice and simple syrup but this recipe backs off some of the syrup, thus the “sour.” Caution: This spiked “lemonade” goes down very easily. Note: The juiciness of lemons is very variable. 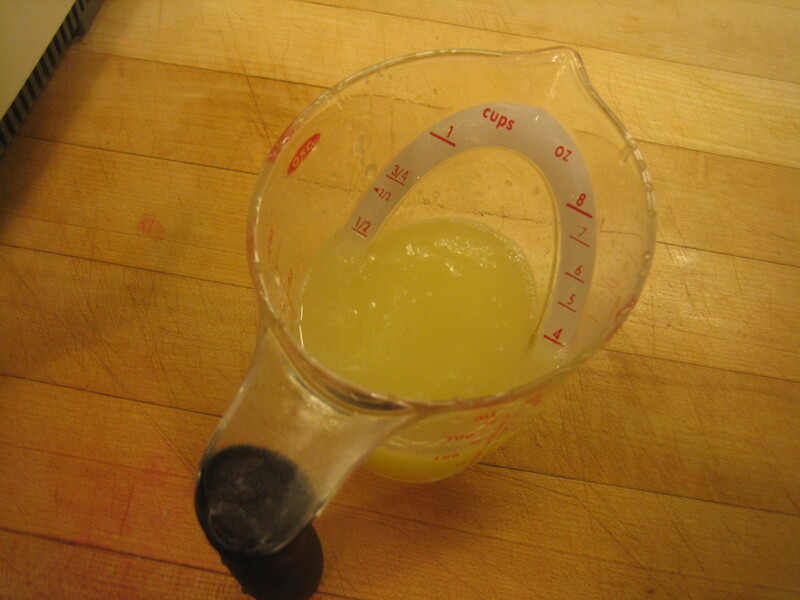 As a result, it is difficult to tell you exactly how many lemons you will need to make 2 cups of fresh lemon juice. I needed 8 lemons. They were unusually juicy. You may need more. In a pitcher or other convenient pouring container, combine lemon juice, rosemary syrup and bourbon. Mix well. Fill glass with ice. Pour 1/2 cup mix into each glass. Stir well. Garnish with rosemary sprig and lemon slice. The half cup of mix per drink includes 1 1/2 ounces of bourbon so do not over-pour. Encourage your guests to savor and not slug. In a small pot, combine sugar and water. Simmer over moderate heat until sugar is dissolved, stirring occasionally, about 1–2 minutes. Add rosemary. 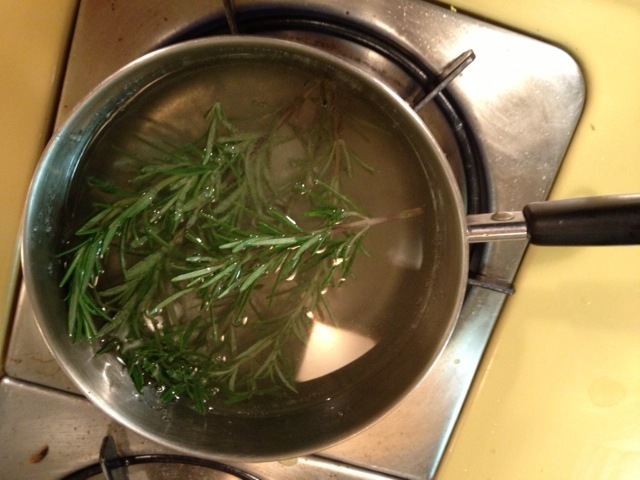 Simmer for 3 — 5 minutes until rosemary wilts and gives up its color, then remove from heat. Cool for at least one hour or overnight. Strain out rosemary before using. Store in refrigerator. There are six syrup recipes in At Home on Page 44 along with a tip on using Simple Syrups. One Thanksgiving dessert we are serving on Thursday is roasted pears basted with a syrup sweetened with honey as well as sugar and spiced with star anise, cardamom and coriander seed. See our complete menu below. Five or six rosemary sprigs, about 20 to 25 total inches of rosemary. 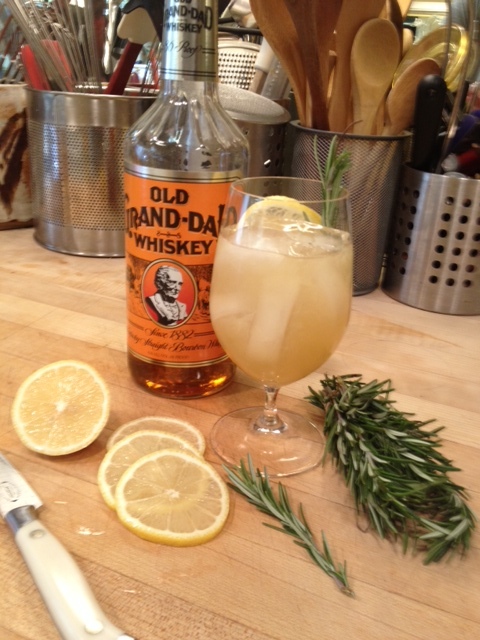 You will also need rosemary sprigs to garnish the drink. 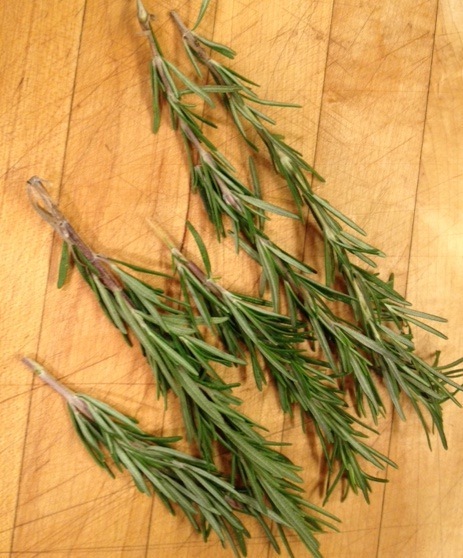 When you start, the rosemary will be stiff and the leaves a strong green as pictured above. Simmer sprigs in syrup until they wilt and give up their bright color and turn somewhat khaki-colored. Take care to just simmer slowly. Leave the sprigs in syrup until ready to use. Strain out sprigs before using syrup. Lots to be thankful for this Thanksgiving — not the least of which is the recent election result. We are enjoying Thanksgiving at home with our extended family. Christina’s brother Larry and my son Noah will help with selected dishes and pitch-in with turn-out. Christina will take care of getting our apartment ready and setting our table. We still have to do our wine shopping. I will do the flowers on Wednesday. On Sunday, I also made the base for the ice cream that I will freeze Monday, the syrup for the roasted pears, peeled the celery root and sliced and rinsed the leeks for the gratin, prepped the turnips and carrots, peeled and sliced the kohlrabi, toasted the pinenuts for the kale, grated the cheese for the gratin, as well as made the sausage and vegetable components for the cornbread stuffing that I will combine on Wednesday. One last thing: I crumbled and toasted the cornbread to give it a nuttier flavor than simply baked cornbread. In my new way of eating, unlimited vegetables are a cornerstone of my diet — along with unlimited fruit, modest amounts of protein and a maximum of two tablespoons oil daily. (No white carbs!) An important part of dieting is maximizing the pleasure of what you eat. That sometimes means extra effort to prepare it very well. Though asparagus can be pricey, they make a welcome between meal treat, a start to a dinner in lieu of a salad or an accompaniment to dinner protein. I have been enjoying asparagus from distant lands for months as they are usually available from somewhere much of the year. As asparagus is a cool weather crop, April into mid-June is peak asparagus season in the northeast. Local Jersey and Pennsylvania asparagus made an appearance about three weeks ago. The simple step of peeling asparagus prior to blanching greatly enhances your enjoyment of your asparagus. Here is a simple step-by-step guide to making asparagus better. I prefer thick, substantial asparagus over thin asparagus. It’s not a matter of taste. Thick and thin asparagus taste pretty much the same. It’s the “character” of the asparagus. For me, “meaty” thick asparagus simply have more character. Thick or thin, asparagus have a tough and fibrous bottom. Begin your asparagus prep by snapping the end off the asparagus and discarding. To do this, hold the asparagus at its bottom and bend. The asparagus will naturally snap at the point where the fibrous part ends. This will likely be about one quarter to one third of the asparagus. Discard the fibrous end. Next, using a vegetable peeler, gently peel the asparagus beginning about an inch below the very scaly tip portion as pictured above. Peeling is easiest with thick asparagus, but even moderately thin asparagus benefits from peeling. 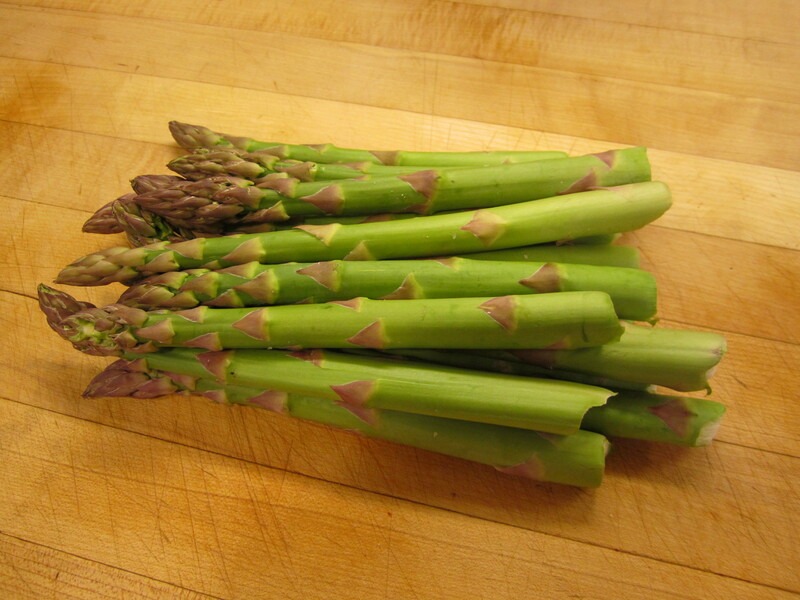 For thinner asparagus, lay the spear flat on the counter as you peel to avoid breaking the stalk. You will periodically need to unclog your peeler as the asparagus peel tends to clog the peeler. Peeling under running water also helps prevent peeler clog. Regardless, rinse peeled asparagus to help remove any clinging peel. Blanch asparagus in a generous amount of boiling water. Asparagus should be cooked al dente. Asparagus should not feel raw, but have a pleasant firm “toothiness.” Thick asparagus take four to six minutes to cook. 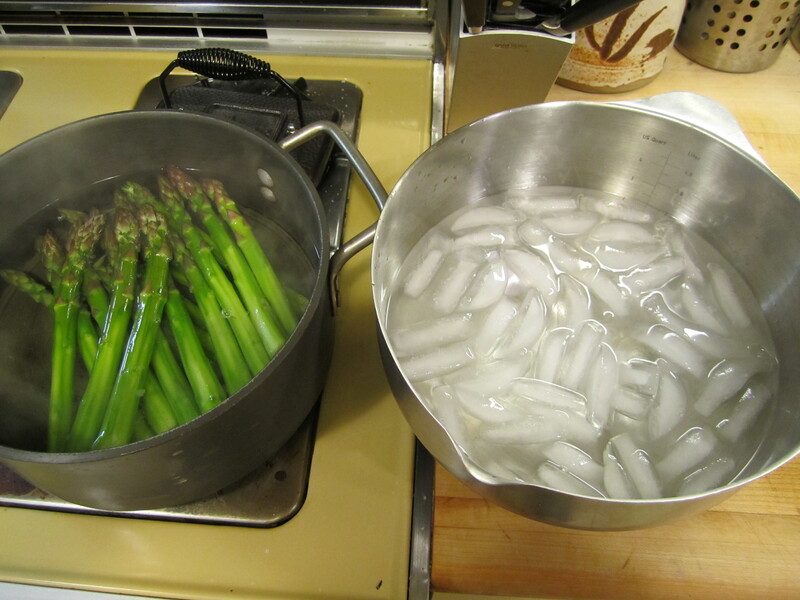 Cooking time depends significantly on the amount of boiling water you have relative to the amount of asparagus. 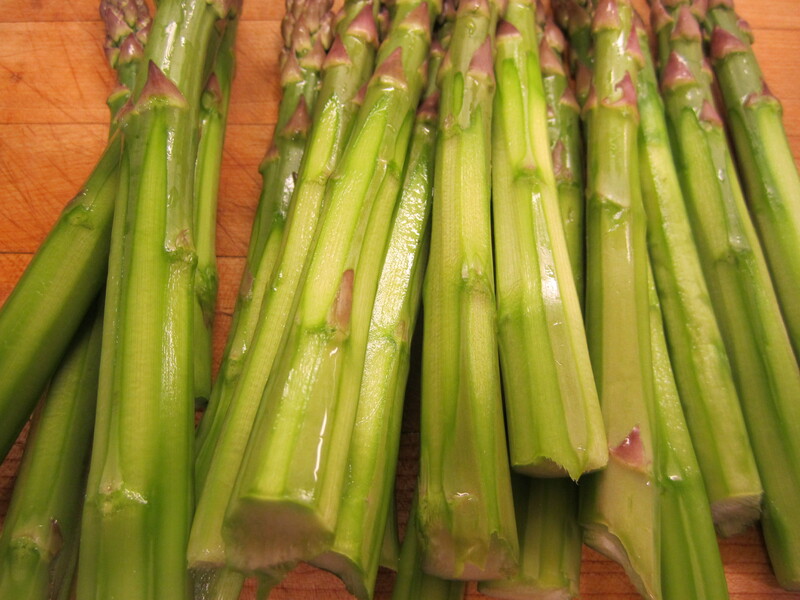 More water means shorter cooking time as the water retains more of its heat when you drop in the asparagus. Thin asparagus cook in as little as about a minute. As I cook my thick asparagus I periodically remove one from the boiling water, cut off a little bit of the end and check for whether they are cooked to my liking. After blanching, I like to “shock” my asparagus. 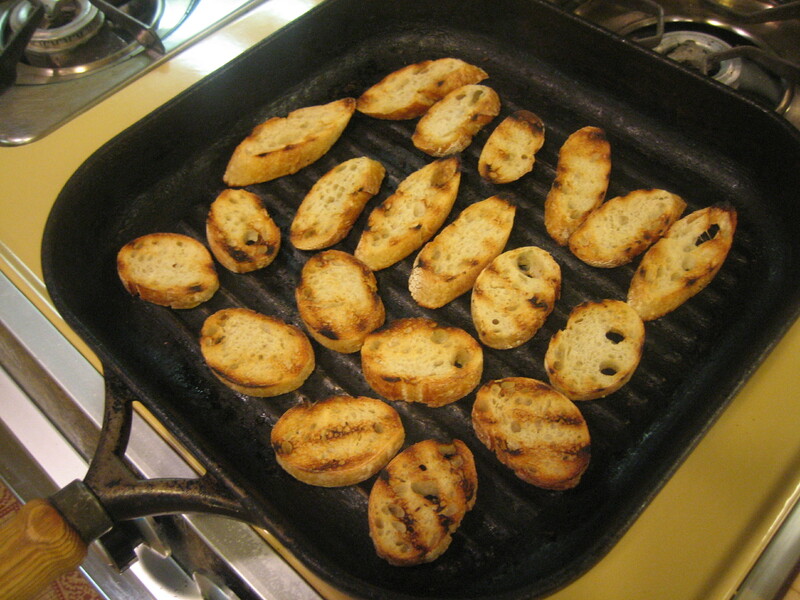 (This is a common practice in cooking many vegetables.) Shocking involves immersing just cooked asparagus in an ice bath to immediately stop the cooking and set the emerald green color. 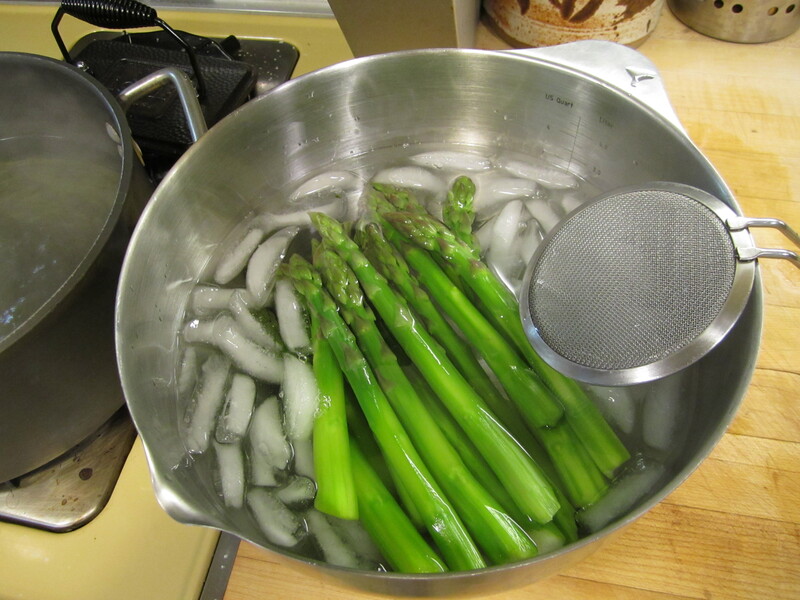 If you get really cold water from your sink, you can drain cooked asparagus in a colander and run under lots of cold running water. Ice water does a better job, but is a bit of a bother. Here are my beautiful asparagus, moved from boiling pot to adjacent ice water with a skimmer. You could also use tongs for this or go from pot to colander to ice bath. If you are going to serve hot and right away, you can skip “shocking” and go directly from blanching to serving. However, especially if you are cooking a large quantity for guests, by blanching and shocking and then re-heating, you get maximum control and are most likely to serve al dente asparagus. Given my diet, I just eat my asparagus au natural — topped with salt. Delicious. If I want them hot, I re-heat either in the microwave or by dunking in a pot of boiling water for about a minute until hot. Drain well. For Easter I made a large batch of asparagus for the eight of us having dinner. A goal of home entertaining is to reduce the number of things you have to worry about once guests have arrived. In my case, for Easter I was taking asparagus to Christina’s mother’s and I wanted to reduce the complexity of what I had to do in her kitchen. I cooked and shocked the asparagus on Saturday. The pre-cooking got the blanching out of the way and ensured my focus on keeping them al dente. I was not cooking the asparagus while trying to pull together other parts of Easter dinner. On Sunday I simply warmed my pre-cooked asparagus in a pan with some butter, salt and pepper. Check the recipe from At Home for Asparagus Three Ways, an interesting salad showing off the varied aspects of asparagus. Also, check out Mark Bitman’s NY Times blog about asparagus. P.S. As of today I have lost 52 pounds. in the refrigerator. Bring to room temperature before serving. under cold water. When cooled, drain and cut into thirds. Set aside. 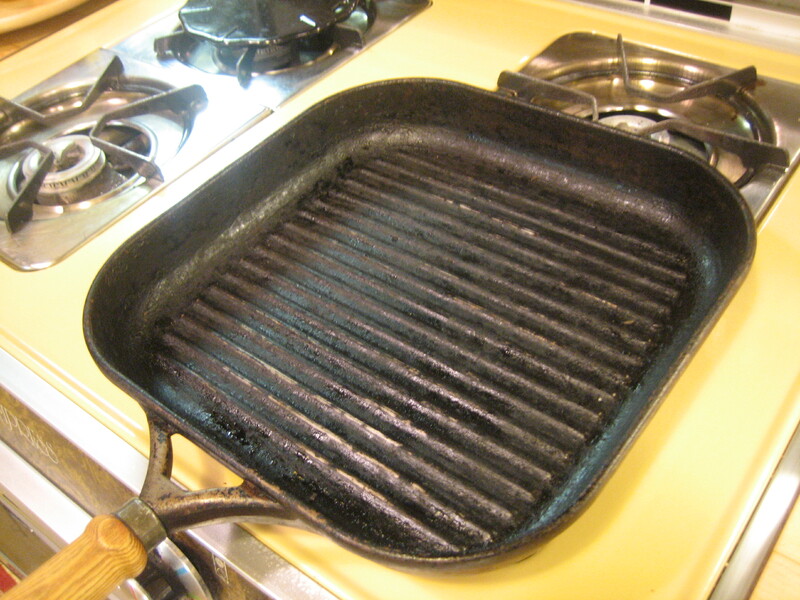 4 Grill the remaining asparagus: Heat a grill pan or backyard grill. 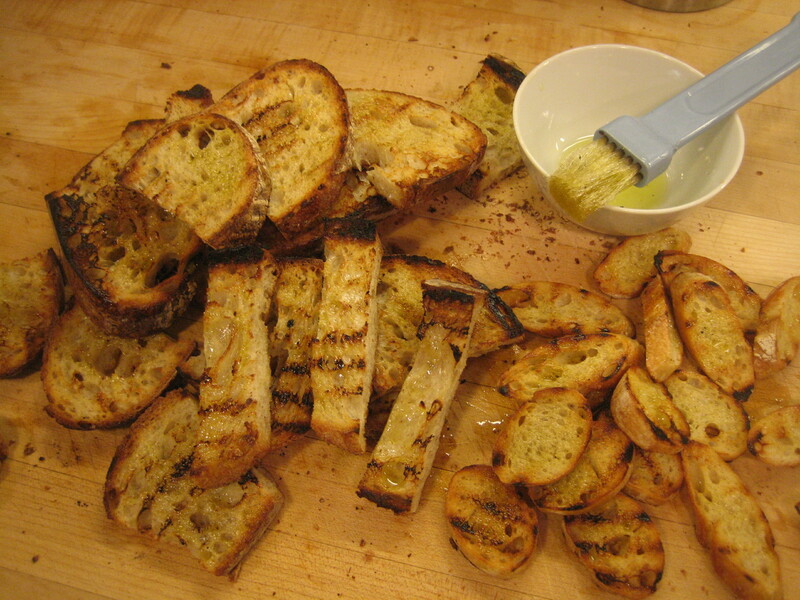 Combine garlic and olive oil. Dip and coat asparagus in the mixture. Reserve mixture and transfer coated asparagus to grill. 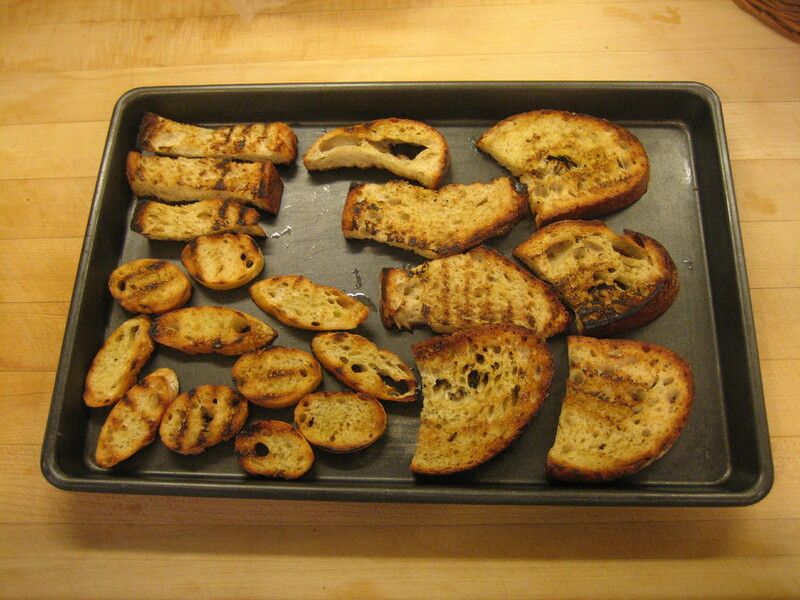 Grill until charred, turning to cook all sides, about 5 minutes. Cut into thirds and set aside. 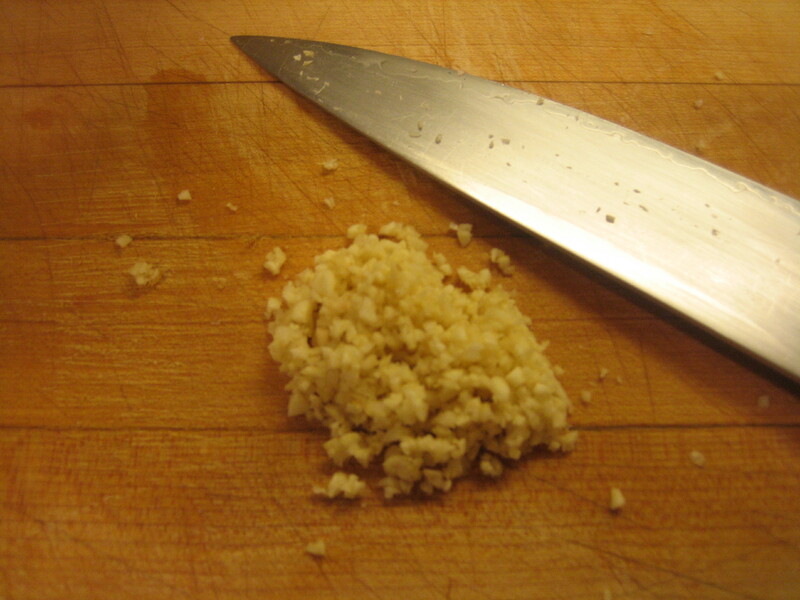 5 Scrape remaining garlic into a medium bowl. Whisk in honey, mustard,lemon juice, lemon zest, salt and pepper. Add olive oil and whisk to combine; then add heavy cream and whisk to combine. 6 Drain shaved asparagus well, then blot with a paper towel. 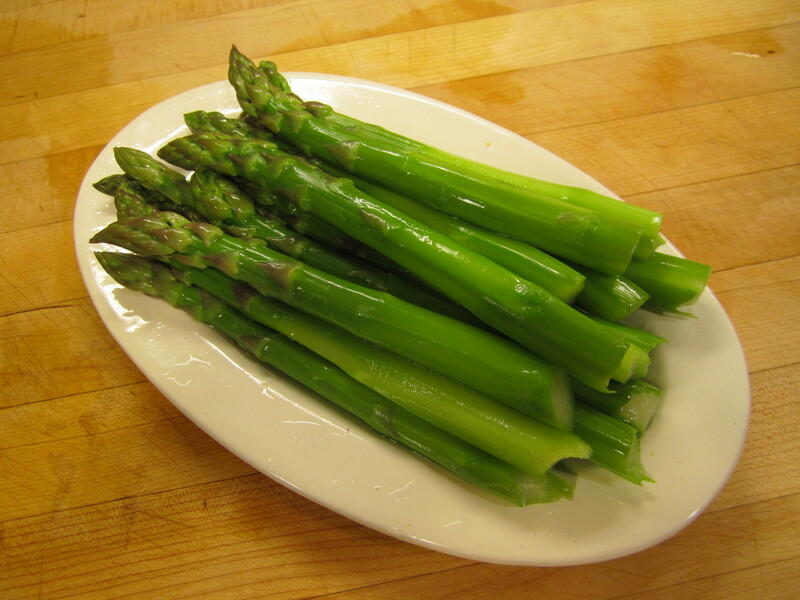 Toss shaved asparagus with 1⁄3 cup of dressing until well coated. This was the signature martini Christina and I served at our winter wedding. It’s rarified, tricky to make and absolutely worth the effort. The “prize” at the bottom of the glass is the candied kumquat. Kumquats are available in the fall and winter, so set this recipe aside during the rest of the year. do ahead Kumquats can be made up to one week ahead. Martinis can be made up to one day ahead and chilled until serving. 1 Make candied kumquats: In a small pot, combine kumquats with sugar and water. Bring to a simmer. Cook until kumquats are glossy and translucent, about 30 minutes. Chill. When ready to use, remove kumquats from syrup, reserving syrup for martini. 2 In a pitcher, combine tangerine juice, lemon juice, vodka, Cointreau or Triple Sec, kumquat syrup and water. Stir. Chill for at least 3 hours before serving. 3 Pour martinis into glasses and garnish each one with a candied kumquat. Drying the candied kumquats for 12 to 24 hours improves their texture. I developed this recipe for Philly Homegrown’s Cheesesteak Give-away tomorrow, August 25th at the Mayor’s LOVE Park Farmers’ Market beginning at 11 AM. What could be more homegrown in Philadelphia than a Philly Cheesesteak? What about a Philly cheesesteak in which all the ingredients come from farms within 100 miles of the City of Brotherly Love on an Italian roll from Sarcone’s? 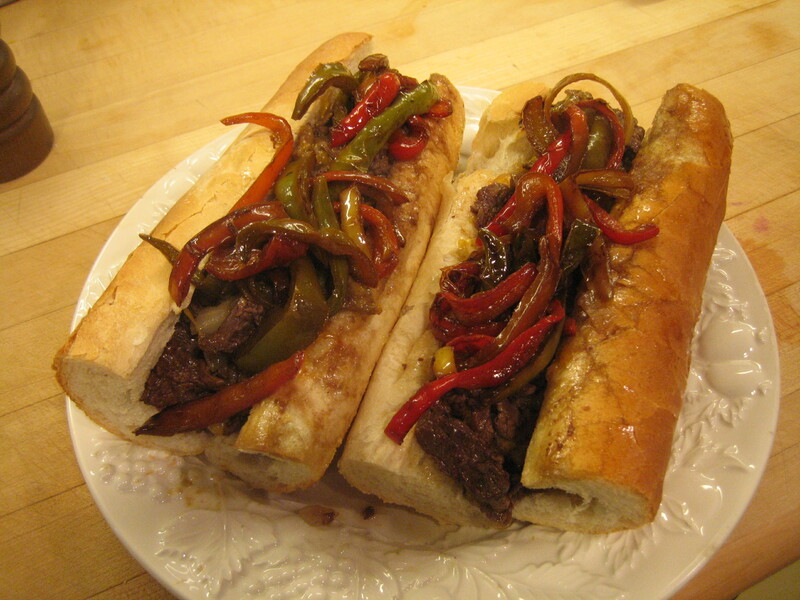 Best yet, with this recipe you can enjoy your Homegrown Cheesesteak…at home. The Philly Homegrown Cheesesteak Give-away is part of Philly Homegrown, a consumer education and tourism marketing program launched this summer to introduce the people, places and flavors of the area’s foodshed—from Amish Country to the Atlantic Ocean and from the region’s rivers to the rich farmlands in Pennsylvania, New Jersey, Delaware and Maryland. I’ll be there with my Frog Commissary crew. We will give-away 1000 mini-Homegrown Cheesesteaks. Philly Homegrown Cheesesteaks will also be available at Ben’s Bistro at The Franklin Institute from Thursday, August 26th through Sunday, August 29th. Ben’s Bistro is open to the public without admission. Do ahead Onions and peppers may be cooked up to two days ahead. Reheat before serving. Bread should be bought the day you are using it. * If using rib eye steak, place in freezer for 2-3 hours until partially frozen. 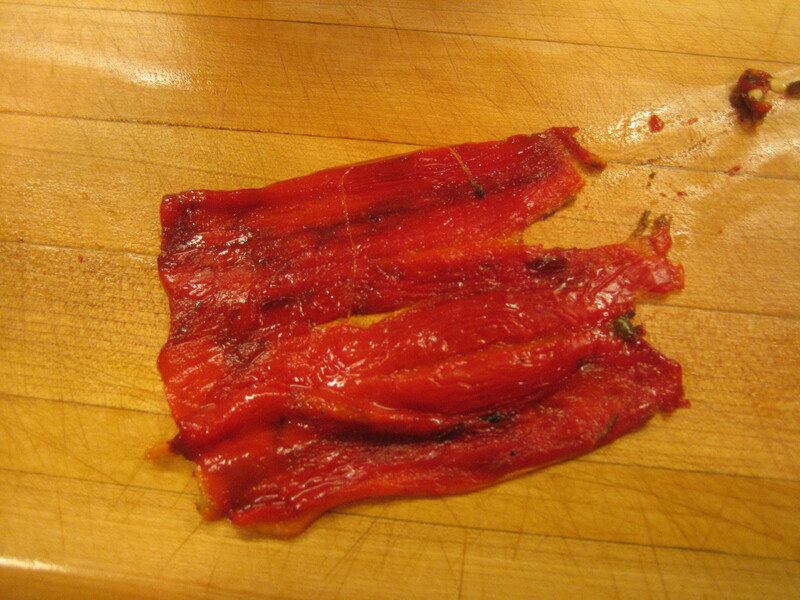 With sharp knife, shave thin slices. 1. 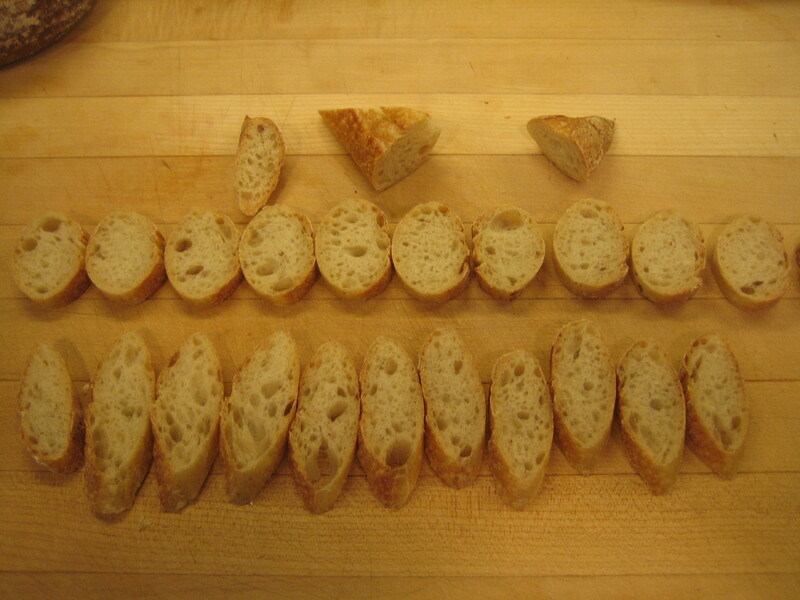 Split each piece of bread in half lengthwise, but keep two halves connected. 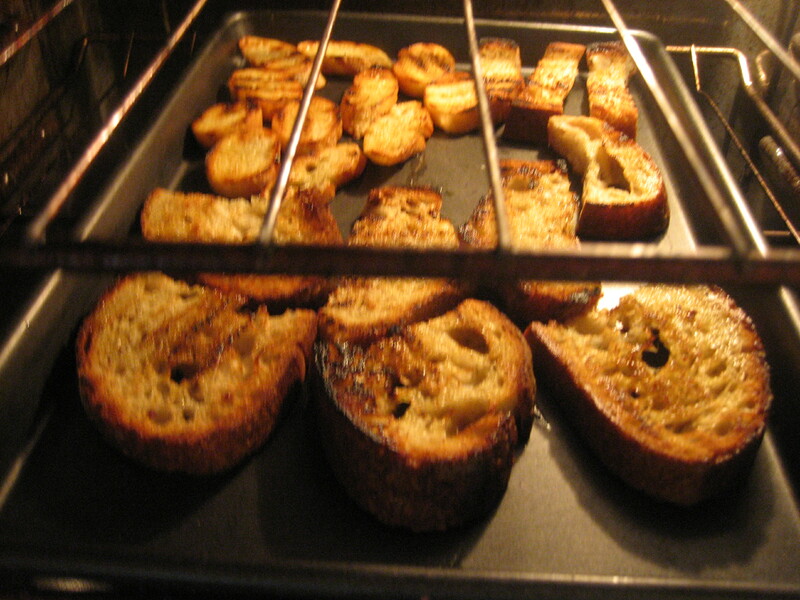 Pull out a little of spongy part of bread creating a cavity. 2. 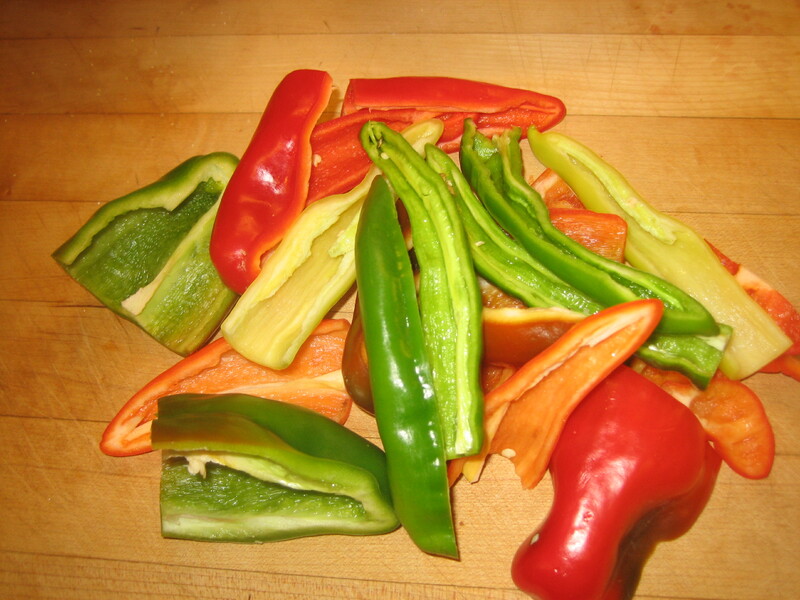 Cut peppers into long, thin strips. 3. 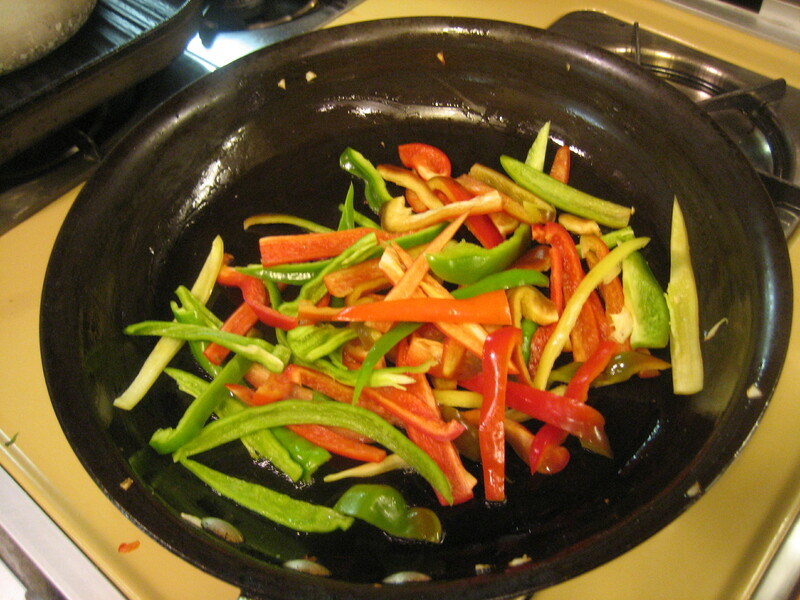 In a large saute pan, heat 1 tablespoon oil over low-moderate heat. Add peppers. Saute until peppers start to soften. Add 2 ounces water and steam peppers until water evaporates. Repeat with 2 ounces additional water. 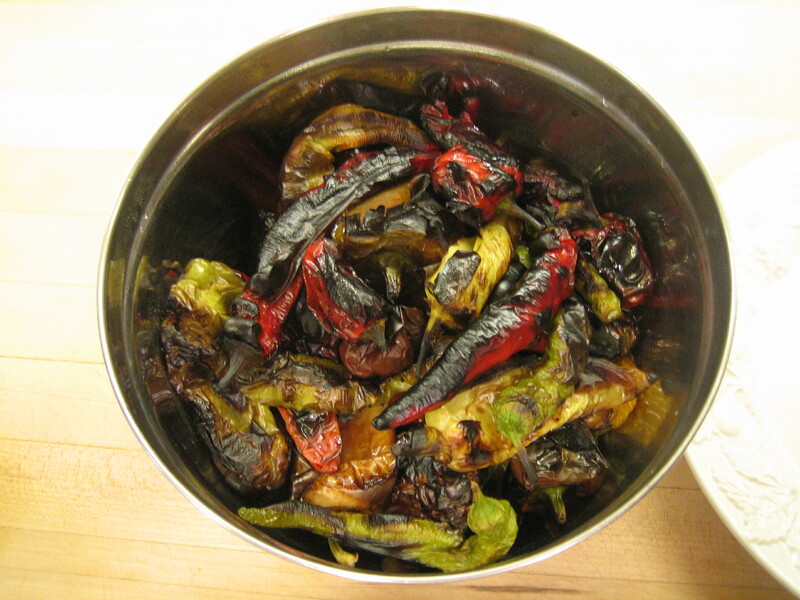 You want to fully soften peppers without browning them. This will take about 15 minutes. Remove from heat and set aside. 4. In same pan, add 1 tablespoon olive oil and heat over moderate heat. Add onions and cook until translucent without browning. Remove from heat and set aside. 5. In same pan, add 1 tablespoon oil and heat. Add beef. Using a flat spatula, toss and chop apart beef as it cooks. 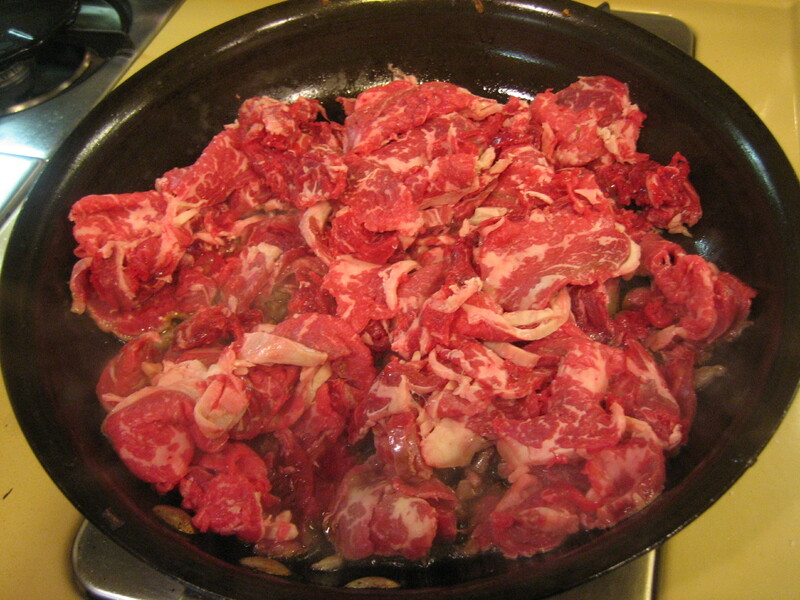 When beef is fully cooked, add onions, salt and pepper and mix into beef. 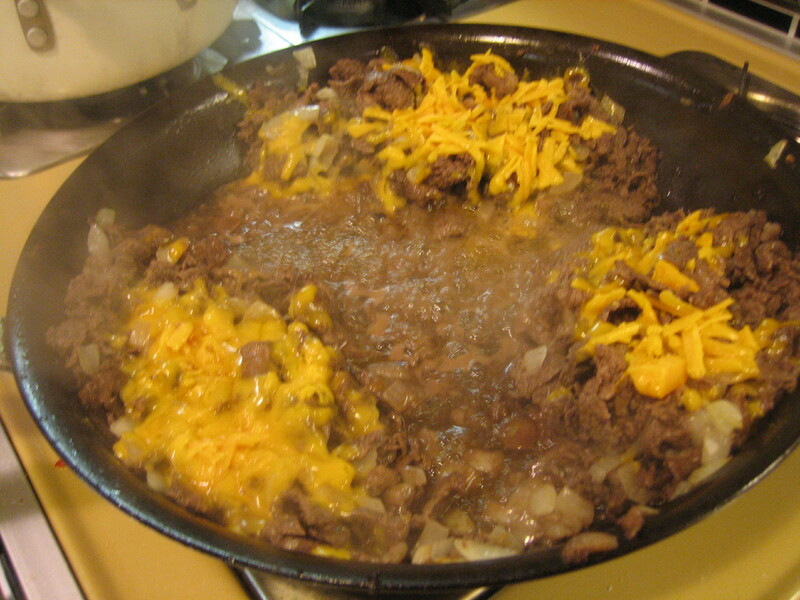 Add cheese on top of beef and melt. Place open rolls on top to lightly heat and refresh. Using tongs or slotted spoon, scrape meat onto rolls taking care to leave behind any liquid in pan. 6. Top with peppers and serve hot. 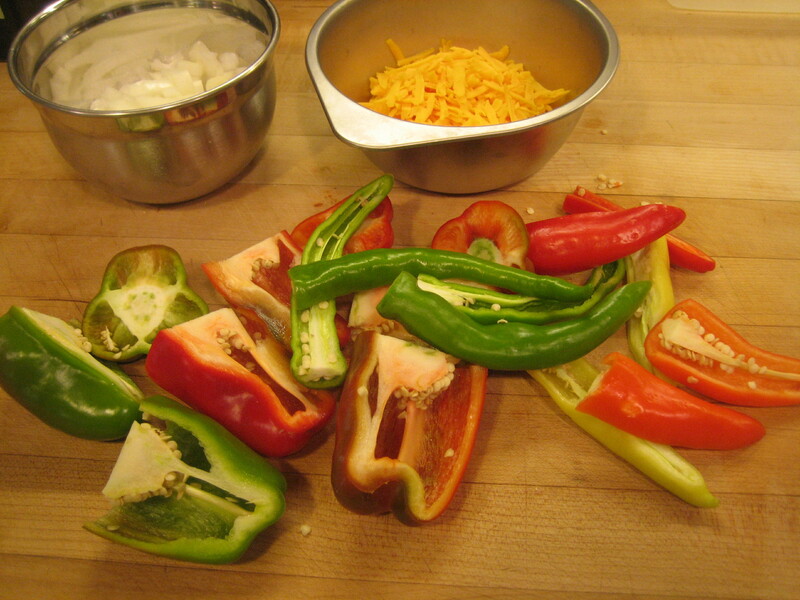 You will need a mix of farm stand sweet and hot peppers, onion, meat, cheese, bread and oil. 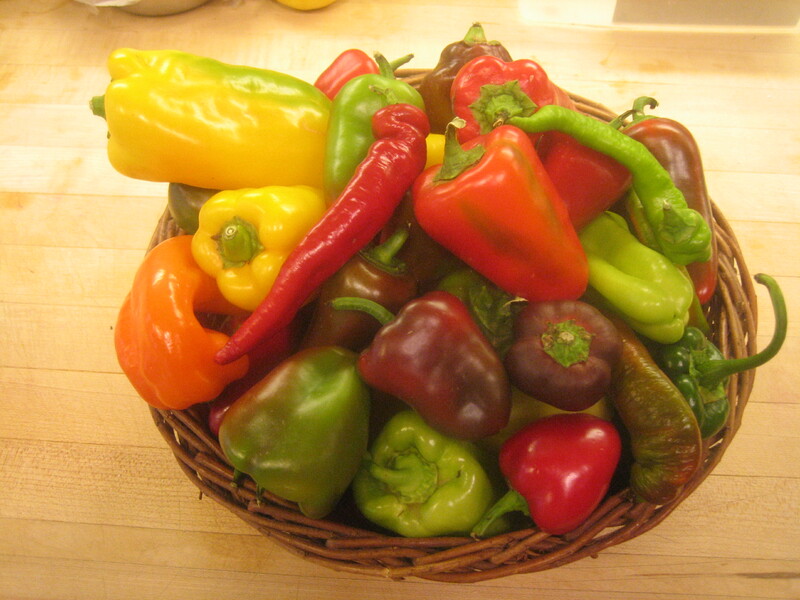 From mid-summer on, farm stands are bursting with all manner of sweet and hot peppers. 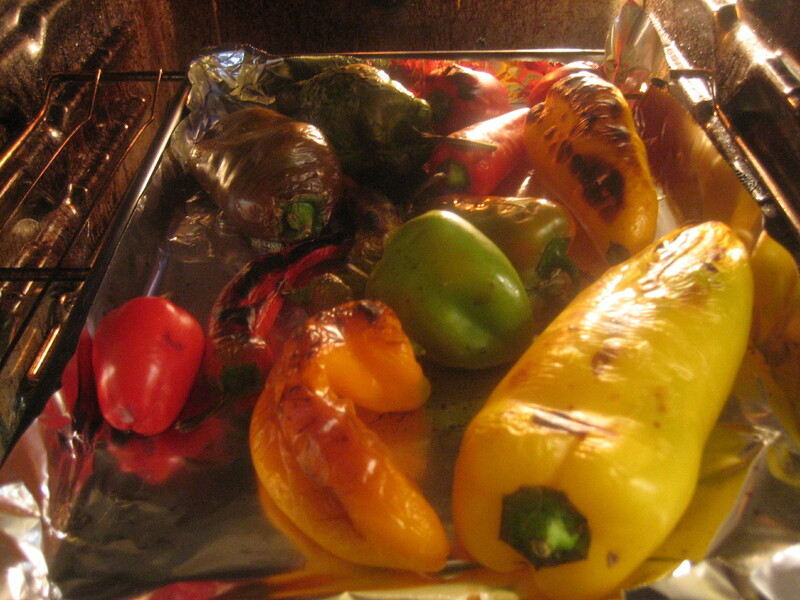 Depending on your preference, you should have about four times times sweet peppers to hot. Here are long hots and banana peppers along with red and green bell peppers. 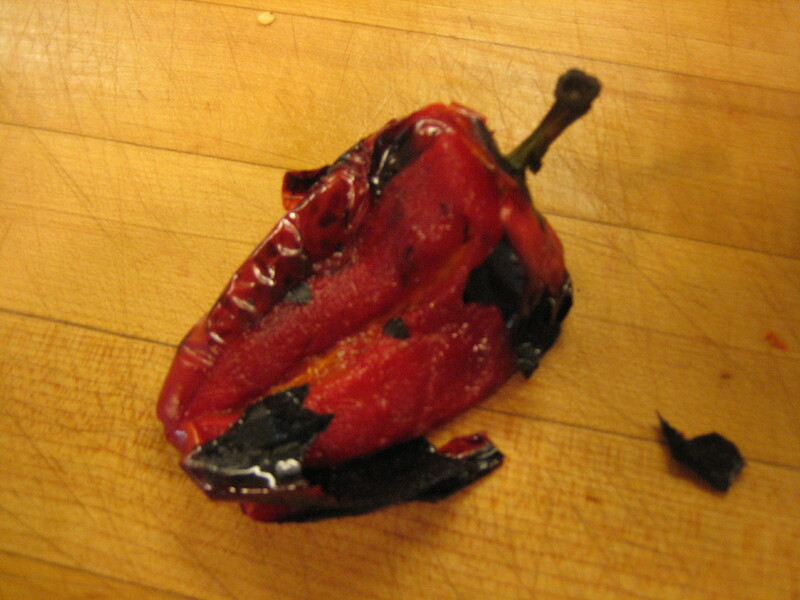 These hot peppers are hot, but not searingly so. Cut tops from peppers and split in half. Be careful handling the interiors of hot peppers — seeds and membrane — as the volatile acids that provide the pepper’s heat can come off on to your fingers. Either wear gloves, put a piece of plastic wrap between the pepper’s interior and your fingers or just take care not to touch any soft membranes like your lips, nose or eyes until you thoroughly wash your hands after handling the peppers. Your fingers themselves will not be troubled. 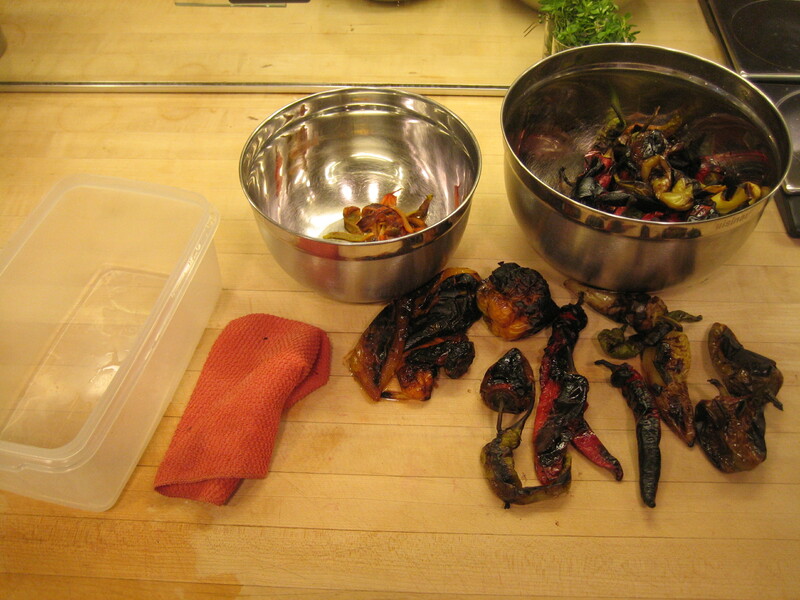 Soap, water and time will “cure” any pepper burning. It’s not dangerous, just uncomfortable. 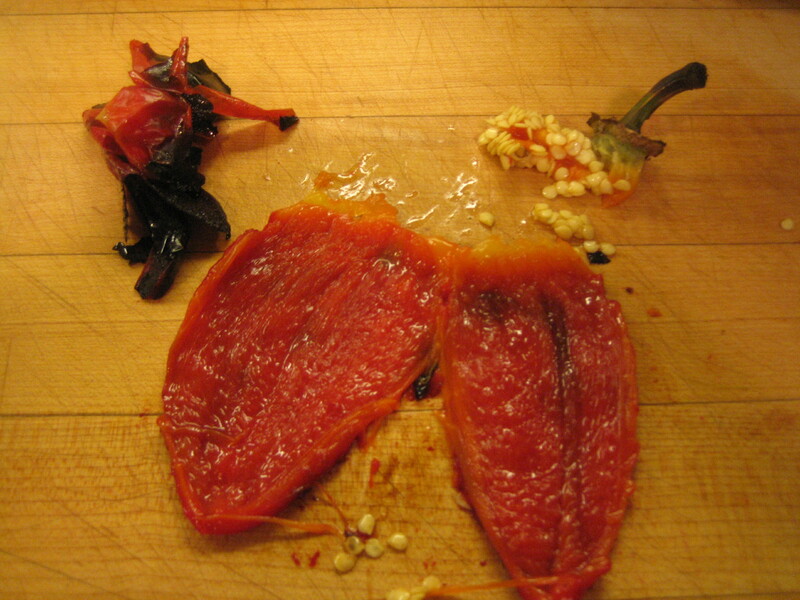 Using your fingers and a sharp paring knife, remove seeds and cut away white membrane of peppers. 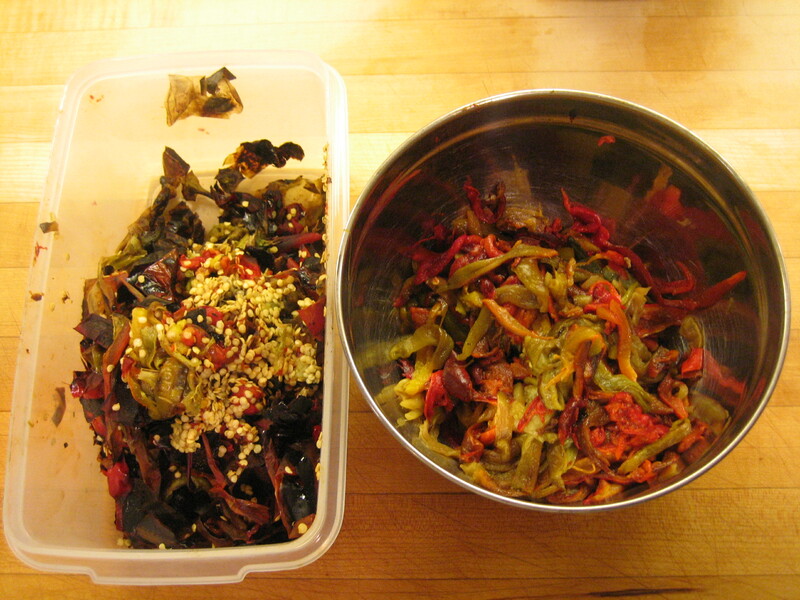 Discard seeds and membranes. 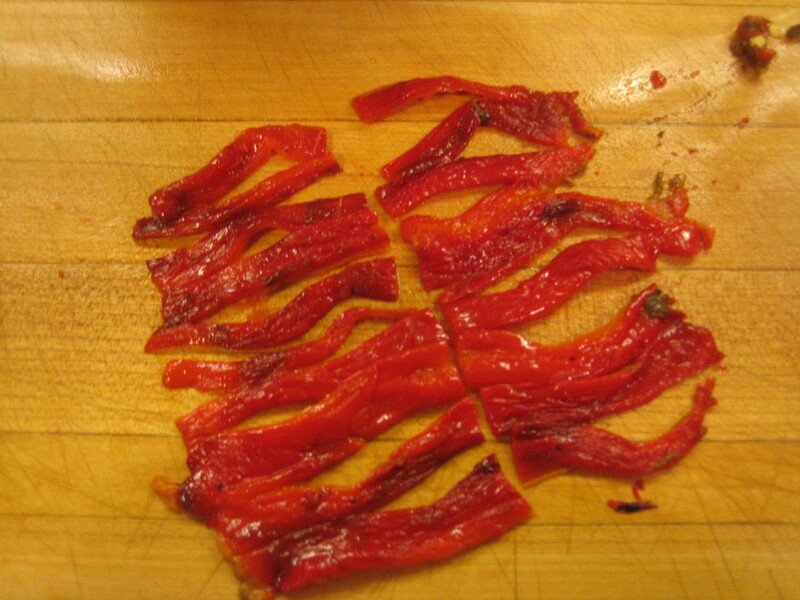 Cut peppers into long thin strips. The cheese should be mild and semi-soft — suitable for grating. I used an organic Meadow Run Colby. 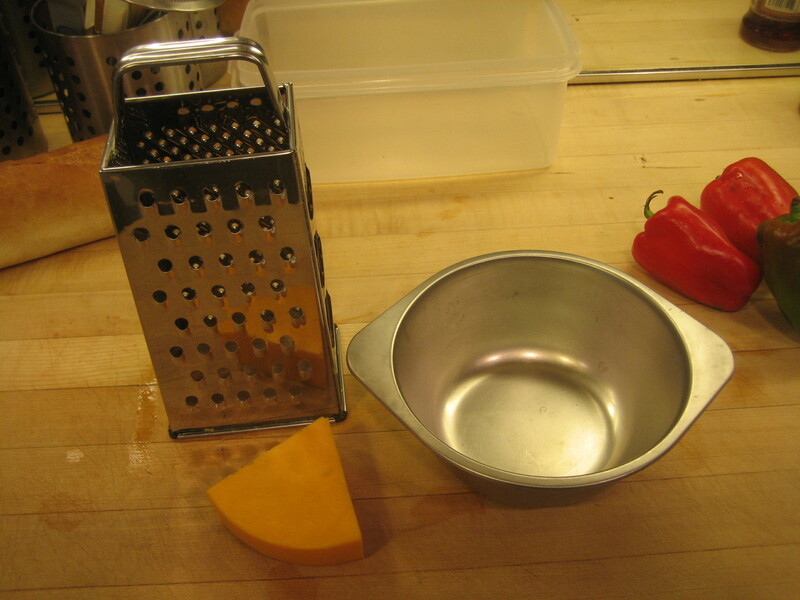 Grate cheese using a box grater or something similar. In a “worst case,” just slice cheese thinly. You can use chip steak. However, here I used a piece of rib-eye steak. Premium cheesesteaks start with a rib-eye steak, typically sliced on a commercial slicer — something unlikely to be included among your home kitchen equipment. But you can still use a whole piece of rib-eye. 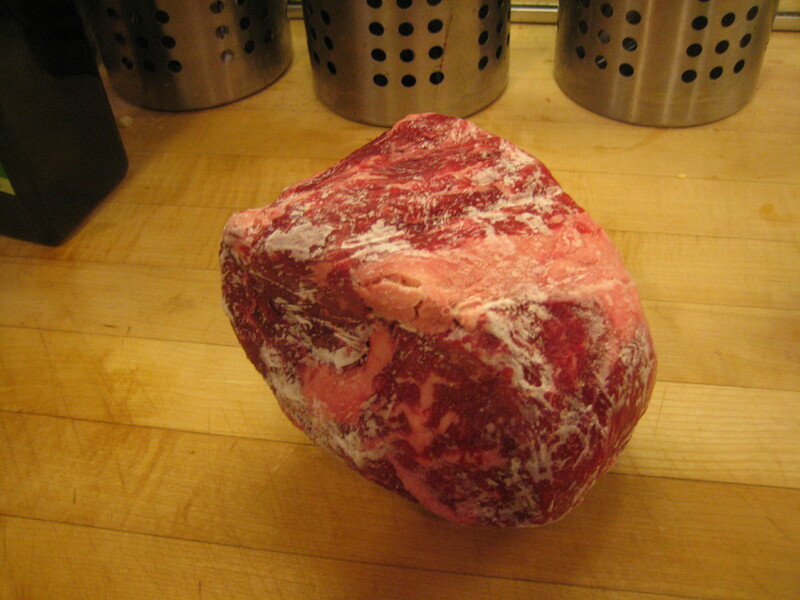 Place the beef in the freezer for 2 to 3 hours so that it is partially frozen, but not rock hard. 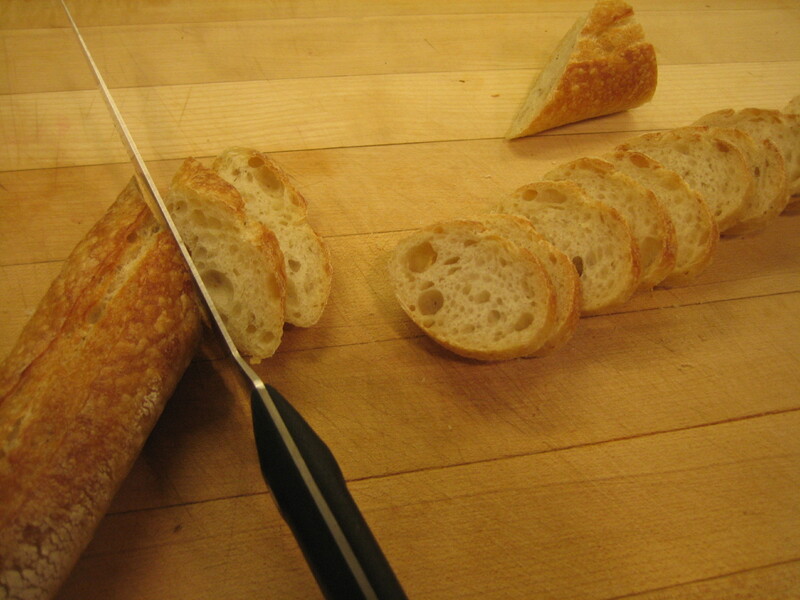 With a sharp knife, cut slices as thin as you can. 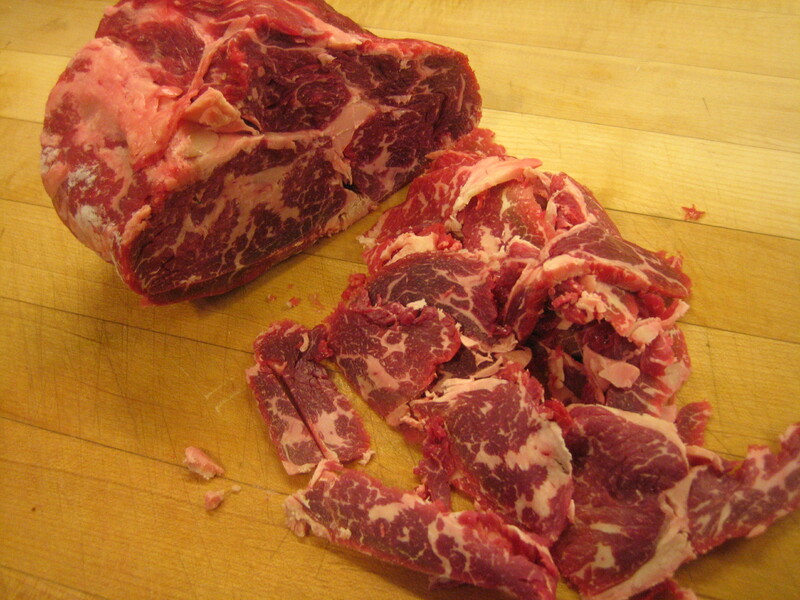 Your goal is to “shave” the beef so that you have “paper-thin” slices. Your slices will not be paper-thin, but do the best you can. 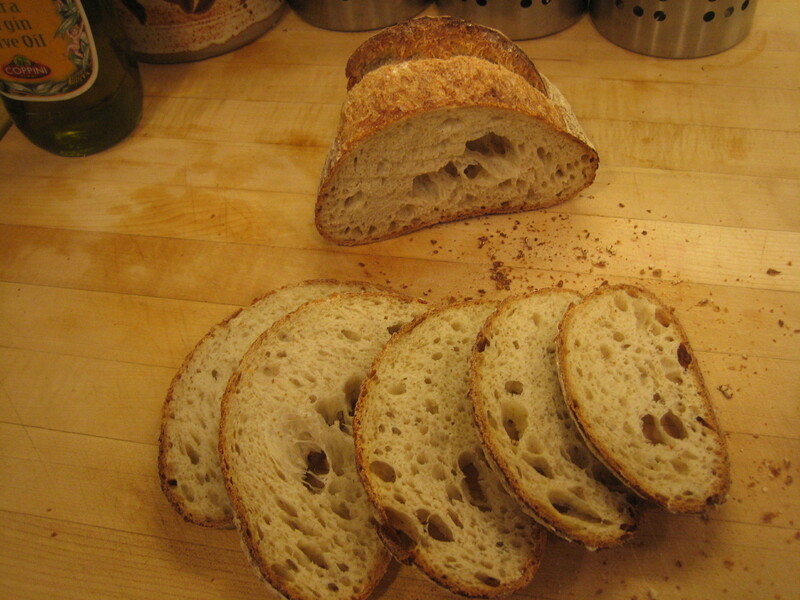 I used a long Italian loaf from South Philly’s Sarcone’s Bakery on 9th Street between Catherine & Fitzwater. DiBruno’s also carries Sarcone’s bread. You can certainly use individual steak rolls. 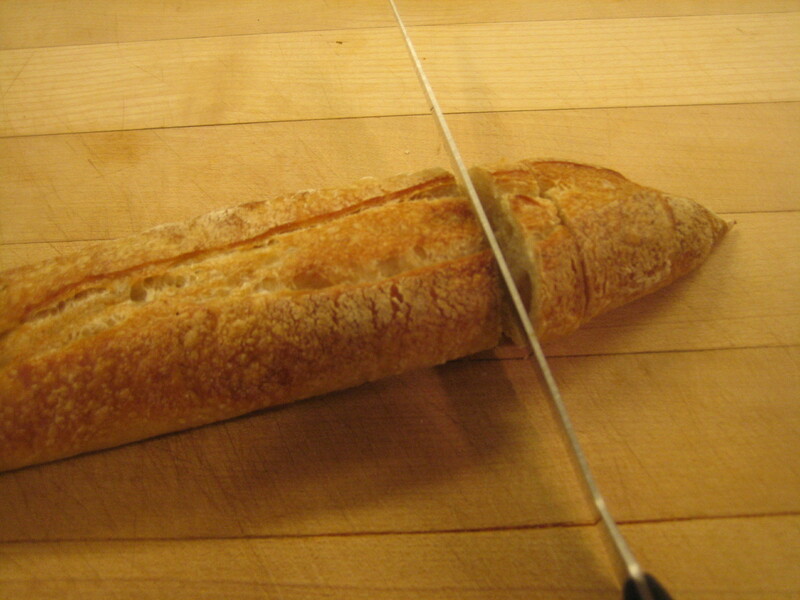 If using a long loaf, begin by trimming away the rounded ends. 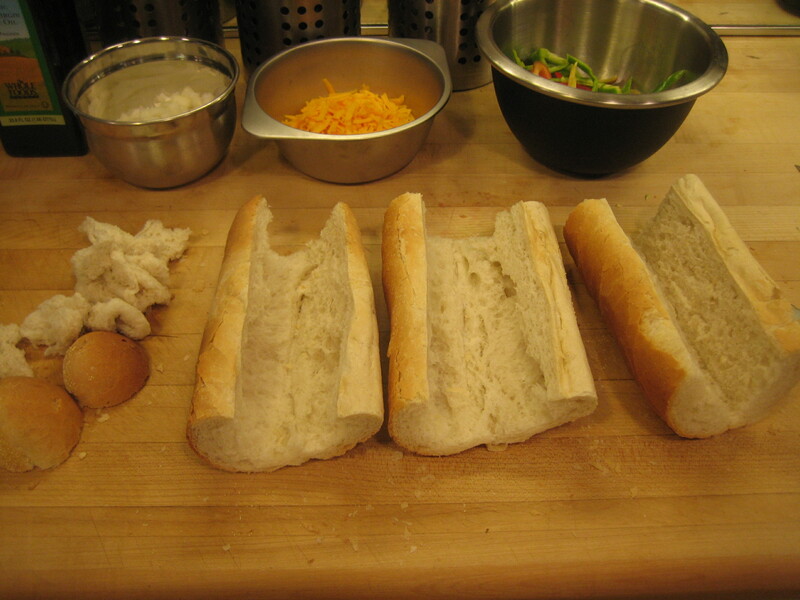 Regardless of what sort of roll you are using, pull out and remove some of the doughy bread. 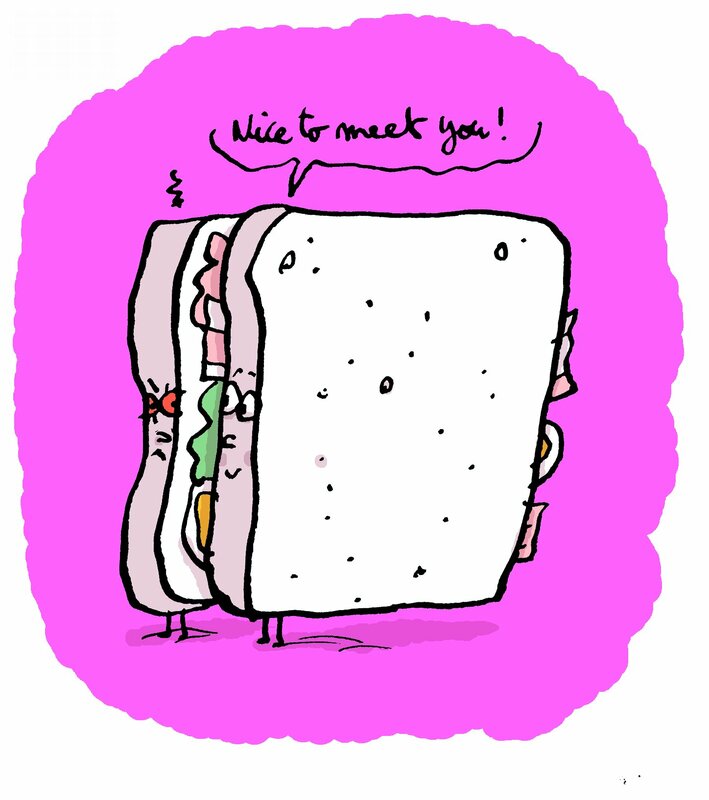 This just makes for a less doughy and more enjoyable sandwich. 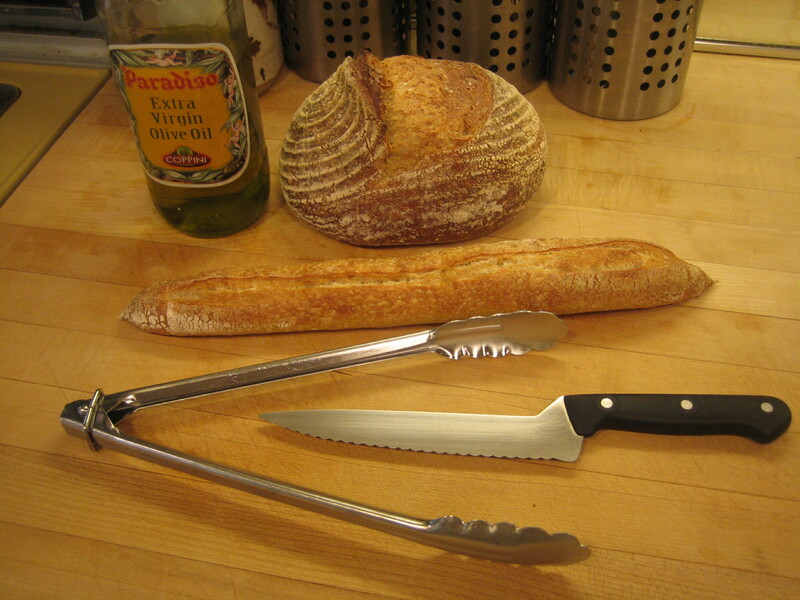 You can cut your long loaf into three or four smaller pieces. Later I will recommend cutting sandwiches into 2″ wide pieces for easier handling so three or four pieces is not critical. Also, chop your onion into pieces about half to quarter-inch in size. Here’s a video on How to Chop and Onion. 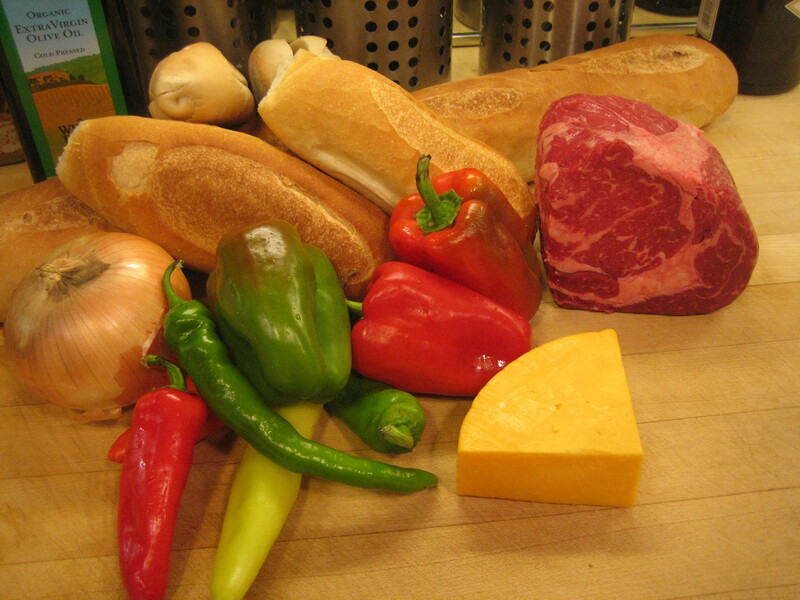 Now you’re ready to cook your Homegrown Philly Cheesesteak with Farm Stand Sweet & Hot Peppers. 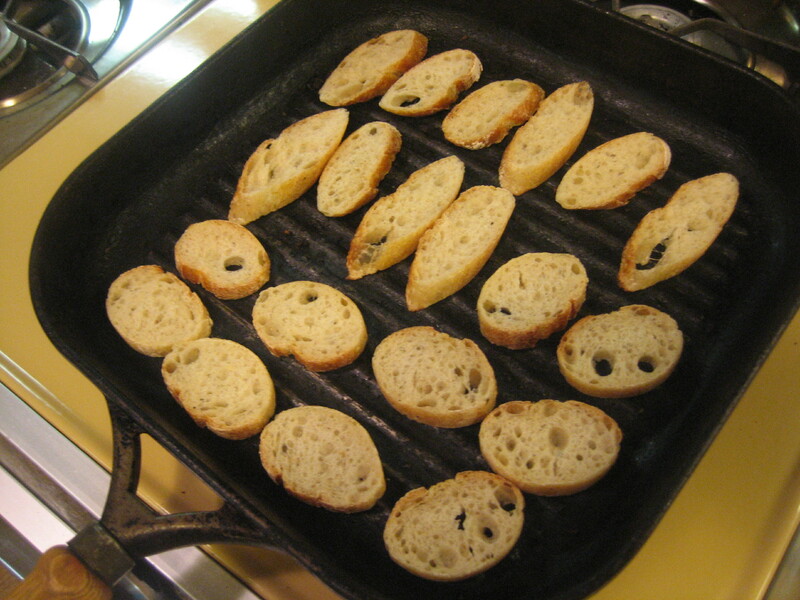 Assemble your ingredients next to your stove. 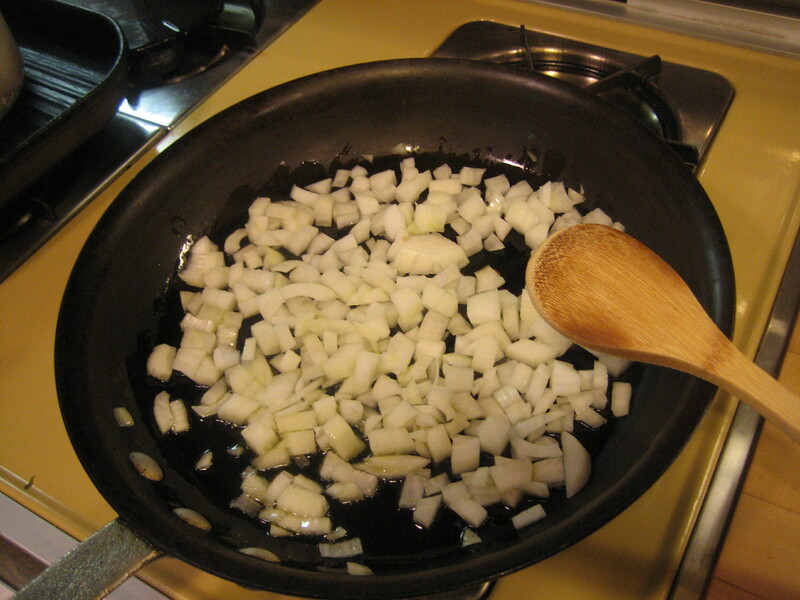 Begin by sauteing your onions in a large saute pan in oil — I used olive oil. You should only need about 1 tablespoon oil. 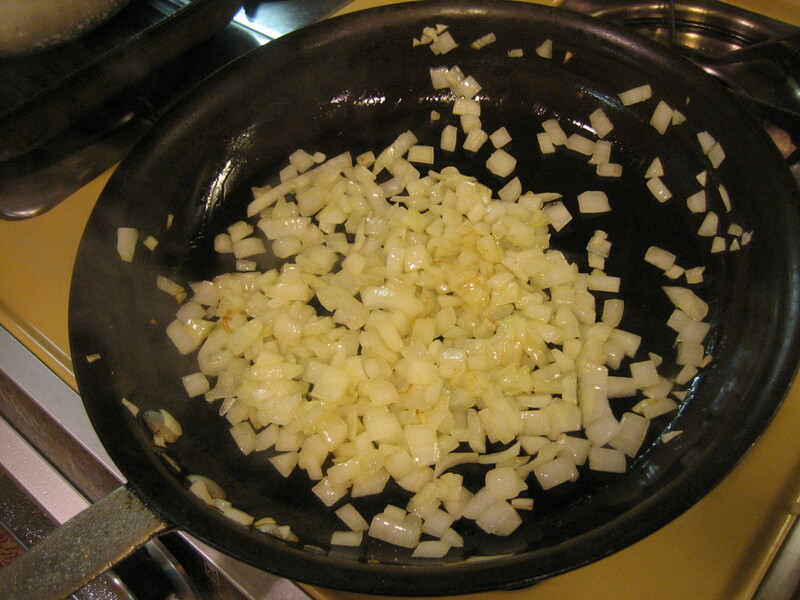 Cook until onions are soft and translucent but not browned. This should take six to eight minutes. If onions begin to brown, reduce heat and/or add a touch of water. The water will stop the browning and help the onions soften. You will want to evaporate the water. Remove cooked onions and set aside. 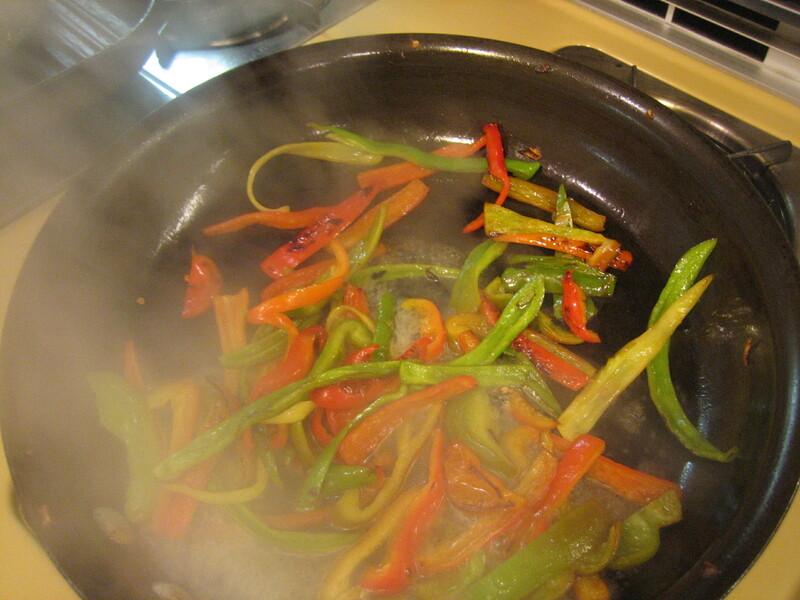 Next, in the same pan, cook peppers over low-moderate heat in a tablespoon of oil. Peppers will take longer to cook than onions – about 15-20 minutes. . You want them to be very soft, but not browned or falling apart. 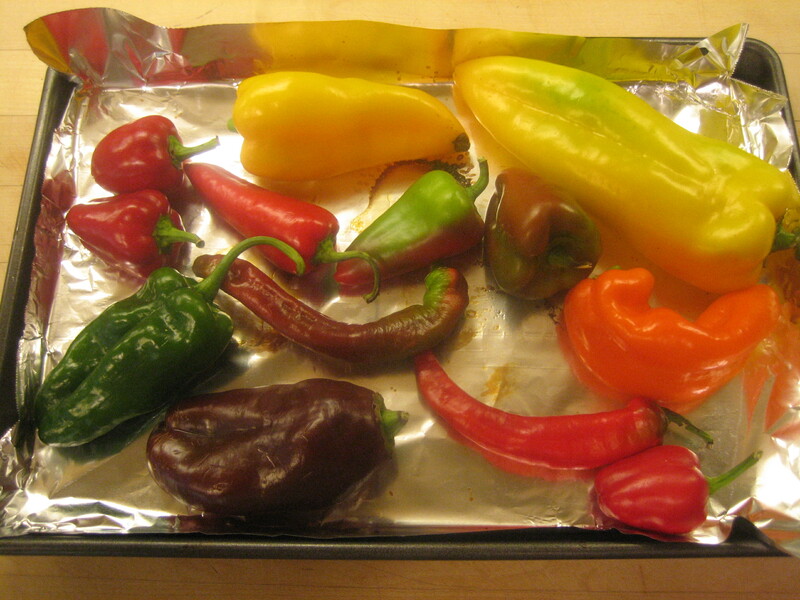 Again, adding a few ounces of water, once the peppers start to soften, is helpful to softening the peppers. Here I added 2 ounces of water two times, each time allowing the water to fully evaporate. You want sautéed peppers and not boiled peppers. 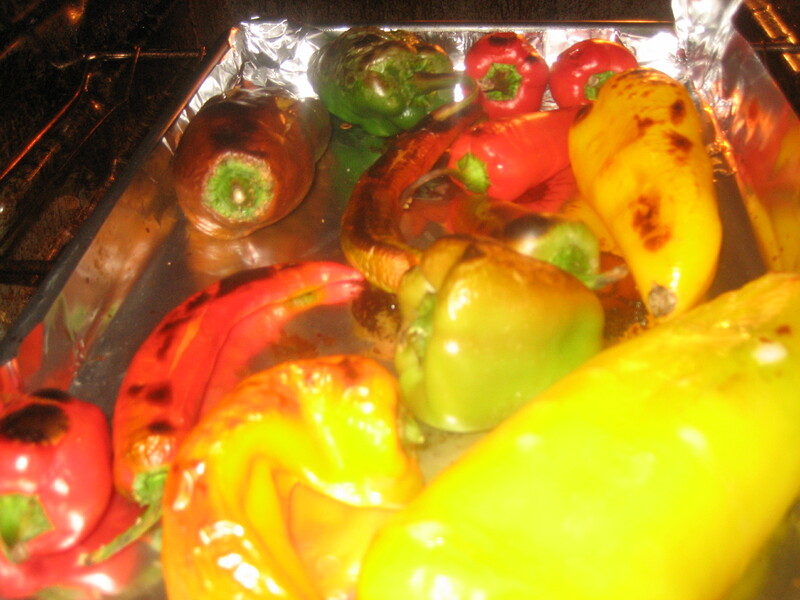 Lightly salt peppers, remove from pan and set aside. 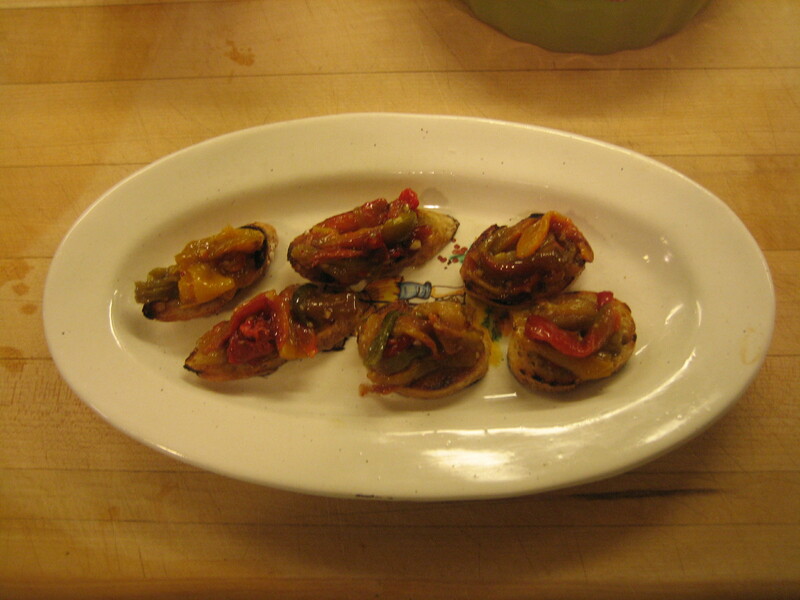 The peppers should be warm, but they are a topping and do not have to be hot. If you do not have a large saute pan, cook the steak in two batches. Hold your first batch in a 200 degree oven while cooking second batch. I used a 13″ pan. Begin by adding 2 tablespoons oil to pan over high heat. Allow oil to get very hot — nearly smoking. 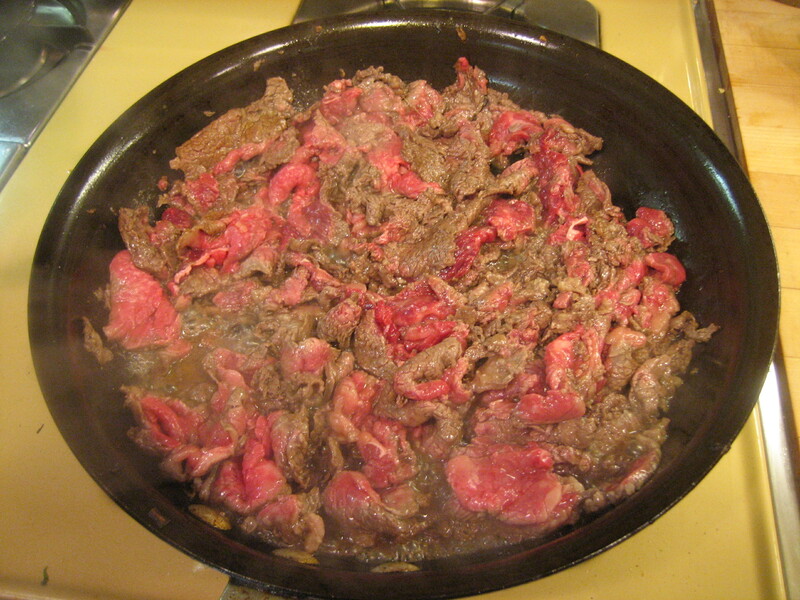 Carefully add shaved beef. Allow bottom to brown. With a broad, flat spatula, turn beef and using “blade” of spatula, chop and cut up beef into small pieces. 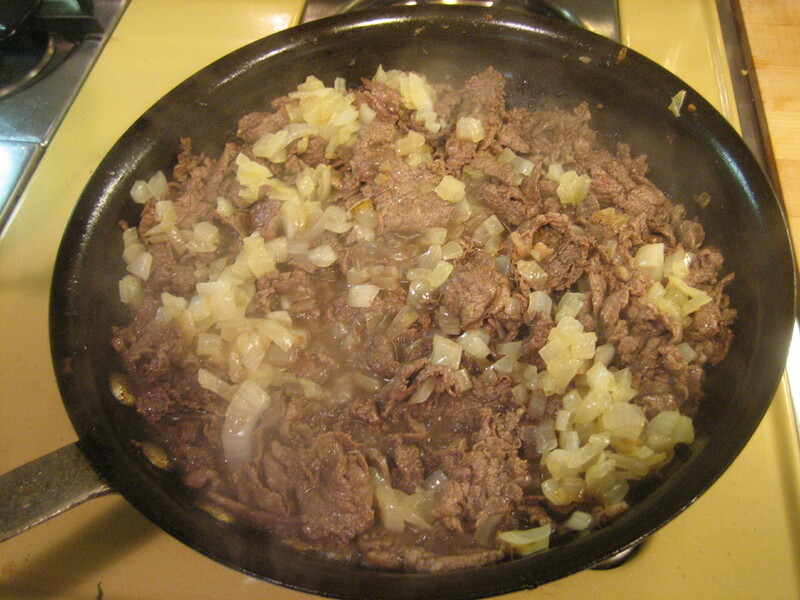 When beef is fully browned, add cooked onions and mix in well. 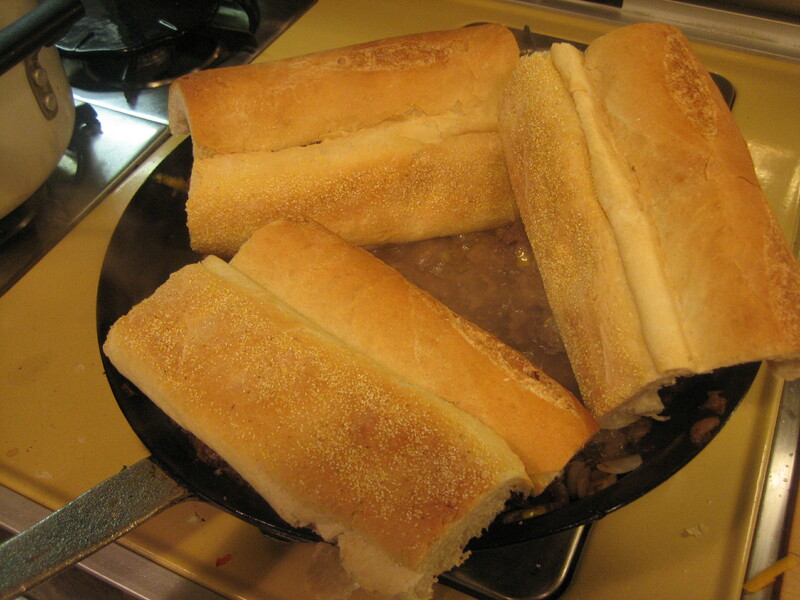 Cheesesteak places cook their meat on a flat griddle that allows the rendered liquid to flow away. When cooking in a pan, the liquid will evaporate somewhat, but you will still have some liquid to contend with. Add cheese on top and allow to melt. Season with salt and pepper. 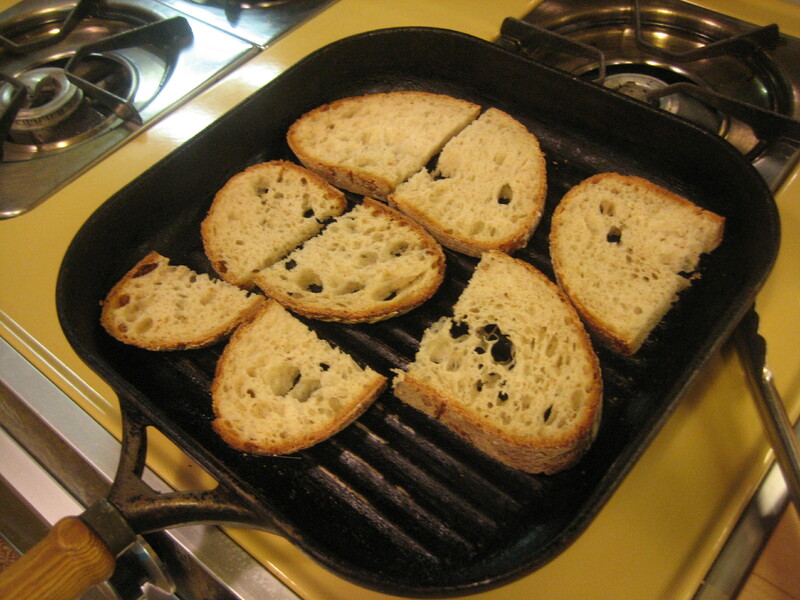 While cheese is melting, place bread lightly on top to enable steam from cooking beef to re-fresh bread. 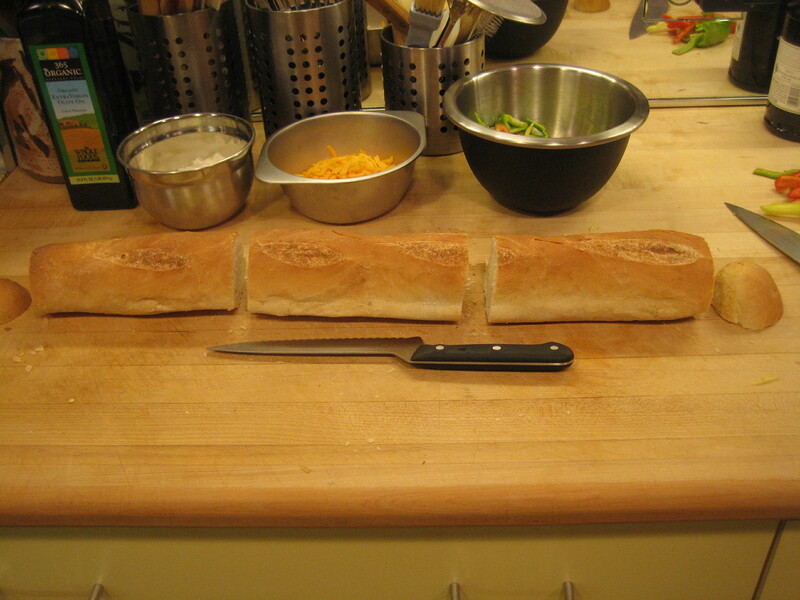 I cut the long loaf into three very generous sandwiches, but you can easily cut it into four. 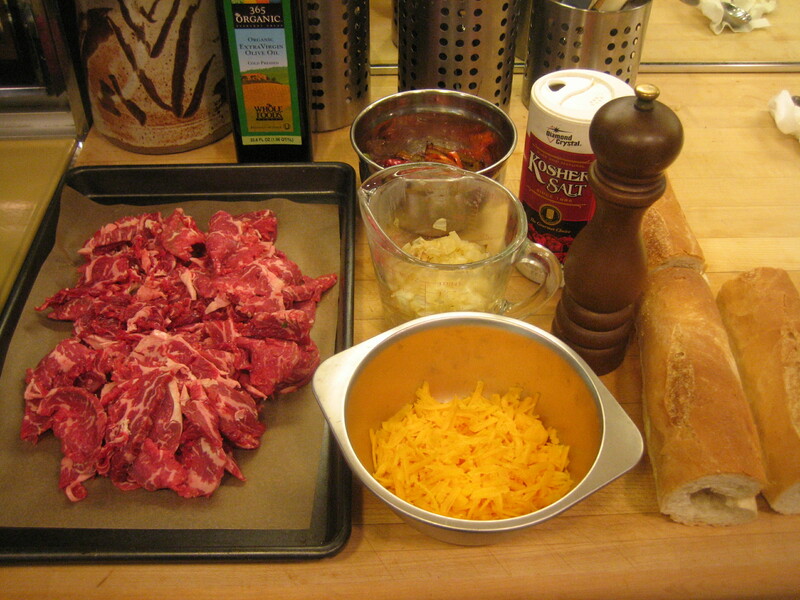 Using slotted spoon or spring tongs, transfer beef, onion, cheese mix into rolls. Take care in doing this as it’s very hot. 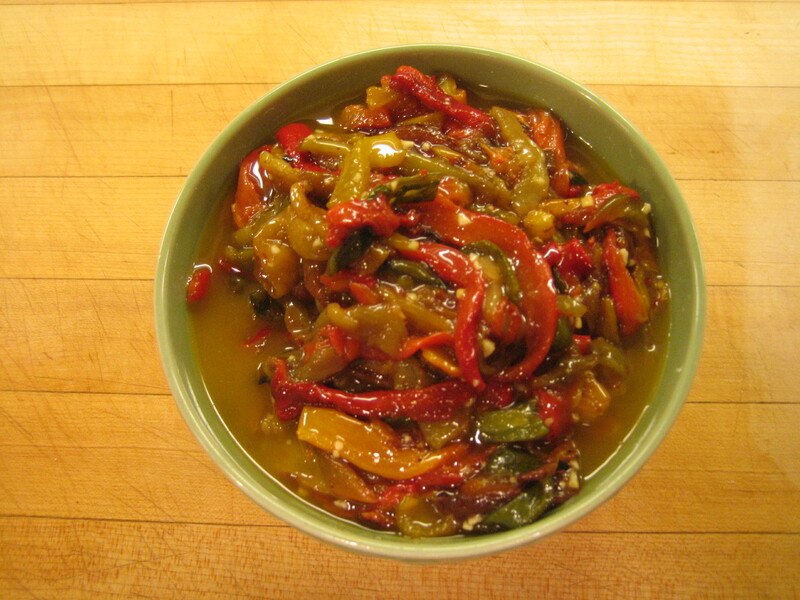 Top with farm stand sweet and hot peppers. 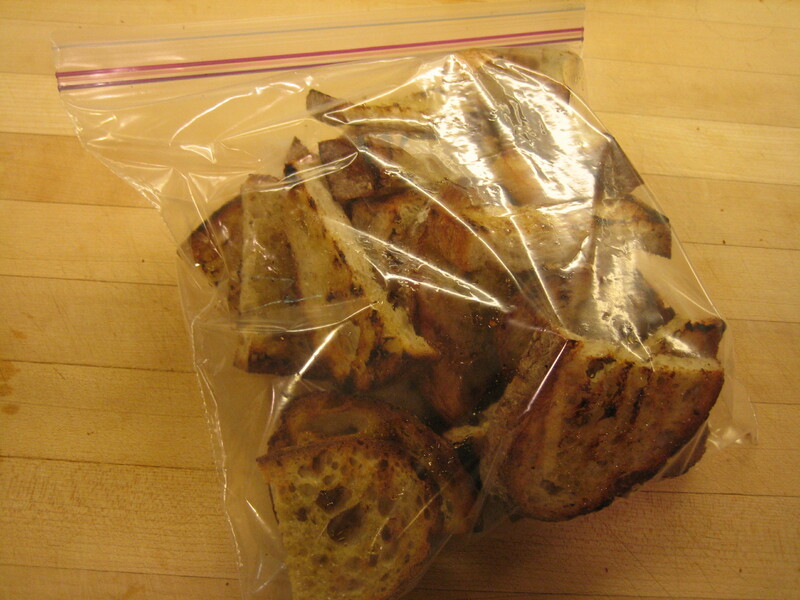 In serving, I recommend cutting sandwiches into more manageable smaller pieces — two inches or so in length. For lots of recipes and to view visits to area farm stands or Philadelphia Neighborhood Farmers’ Markets, go to athomebysteveposes.wordpress.com. For more information about Philly Homegrown, visit food.visitphilly.com. To learn more about local farmers’ markets, visit The Food Trust and Farm to City. 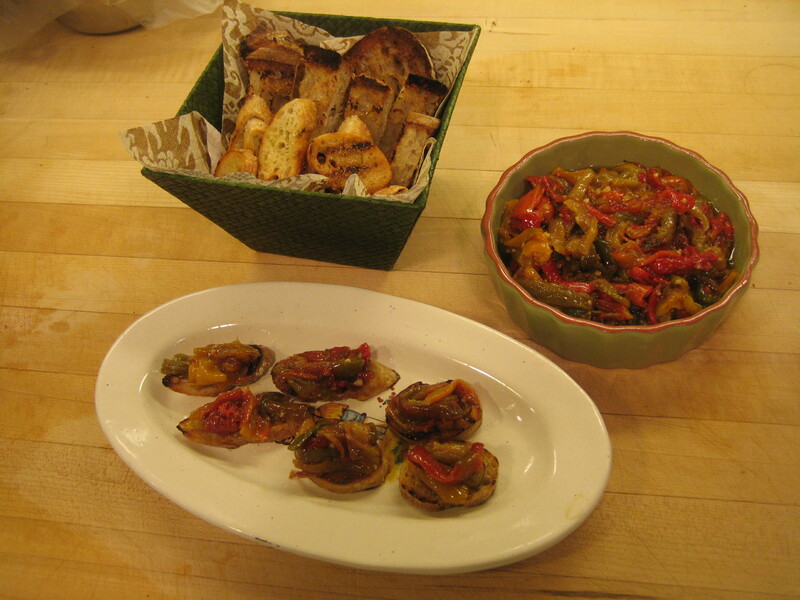 Year ’round you can purchase local food products at Fair Food Farmstand at the Reading Terminal Market. Fresh lemon verbena is in the wings waiting to be discovered and become a star. It has a wonderful herbal lemon bouquet. The difficult part of this recipe is hunting down fresh lemon verbena. Fresh lemon verbena is hard to find, even at premium farmers’ markets. But it easy to grow a few plants in your backyard. Dried lemon verbena makes for a lovely hot tea, but I would not substitute dried for fresh in this recipe. You can steep fresh lemon verbena into a memorable summer iced tea, but the precious leaves go lots further turned into a sorbet. This simple procedure bypasses the usual sorbet process of making simple syrup and steeping the lemon verbena in the warm syrup. Avoiding heating the lemon verbena preserves its effervescent freshness. 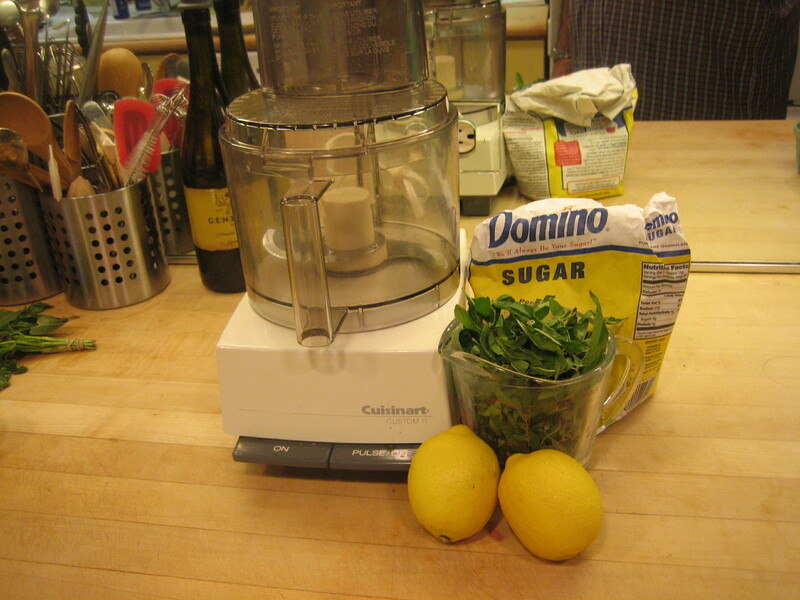 Instead, the lemon verbena is simply made into a paste with sugar in a food processor, combined with lemon juice and water, steeped and strained. It is then ready to freeze. 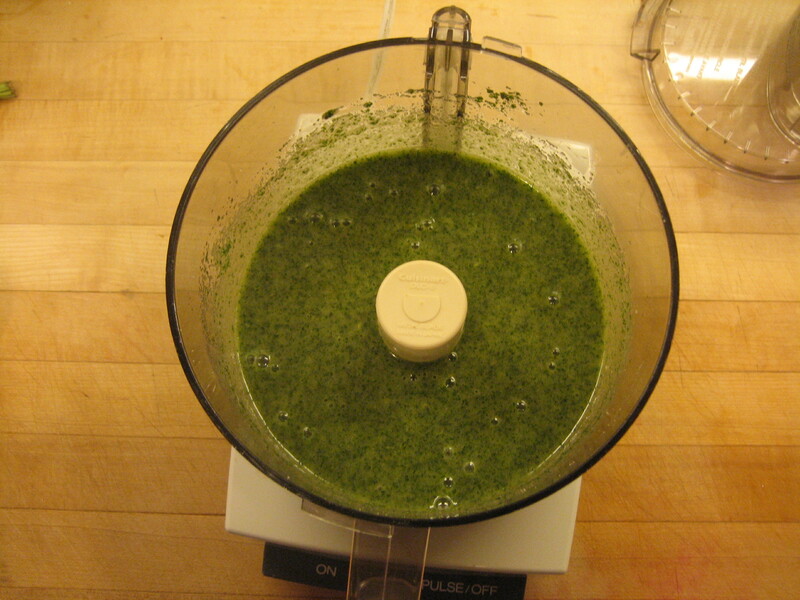 This is a basic procedure for making herb-based sorbets. Note: Lemon verbena is often available at the Z Farm stand in the Rittenhouse Square Farmers’ Market on Saturdays. Do Ahead Sorbet may be made up to a month in advance and held in freezer. Make sure you cover the of sorbet with plastic wrap to protect from freezer burn. 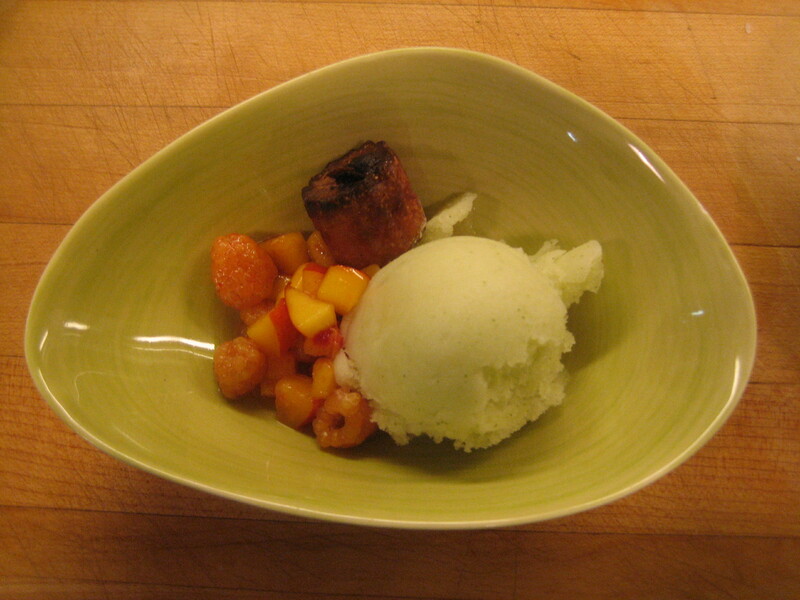 Remove sorbet from freezer at least 20 minutes before serving to temper or soften. 1. 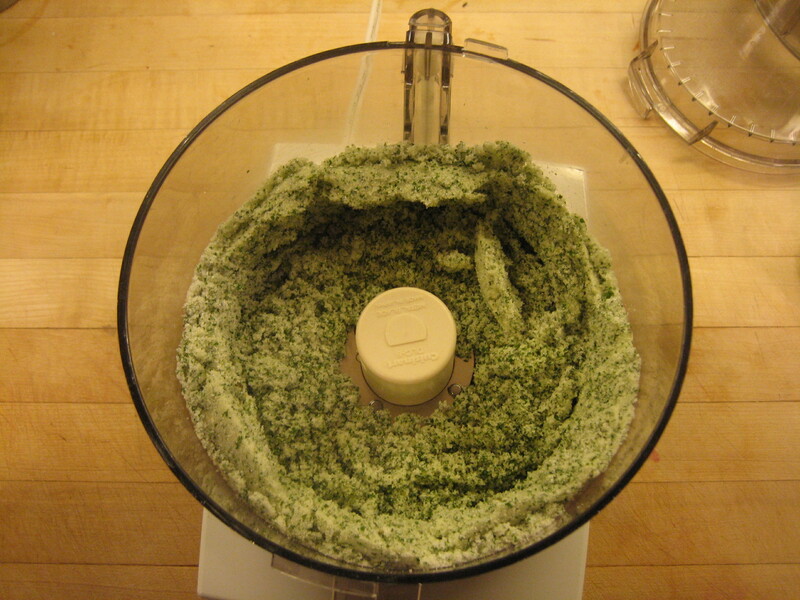 In work bowl of food processor, combine lemon verbena and sugar. Process until leaves and sugar are fully incorporated and turns into damp paste. Add lemon juice and process an additional 30 seconds. Transfer to large bowl. 2. Add 5 cups water and stir well. Steep in refrigerator at least three to four hours or overnight. 3. 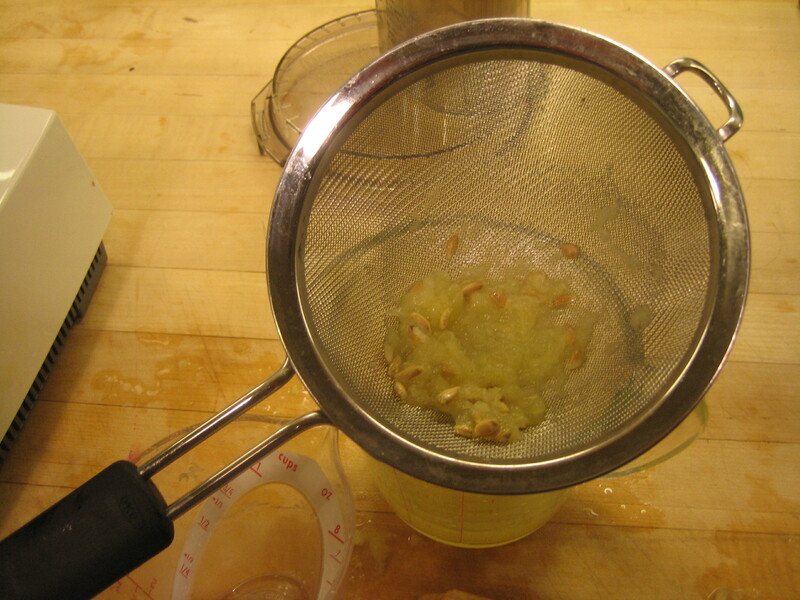 Pass through fine strainer to remove leaf fragments. 4. Freeze according to manufacturers instructions. Lemon verbena sorbet is very easy to make. Just lemon verbena, fresh lemon juice, sugar and water. Some recipes call for superfine sugar, but I find it unnecessary. You do need a food processor and an ice cream freezer. Here I used somewhat more than two cups lemon verbena, but it all depends on how hard you press the leaves into the measure. A bit more or less is not a big deal. More is usually better than less. 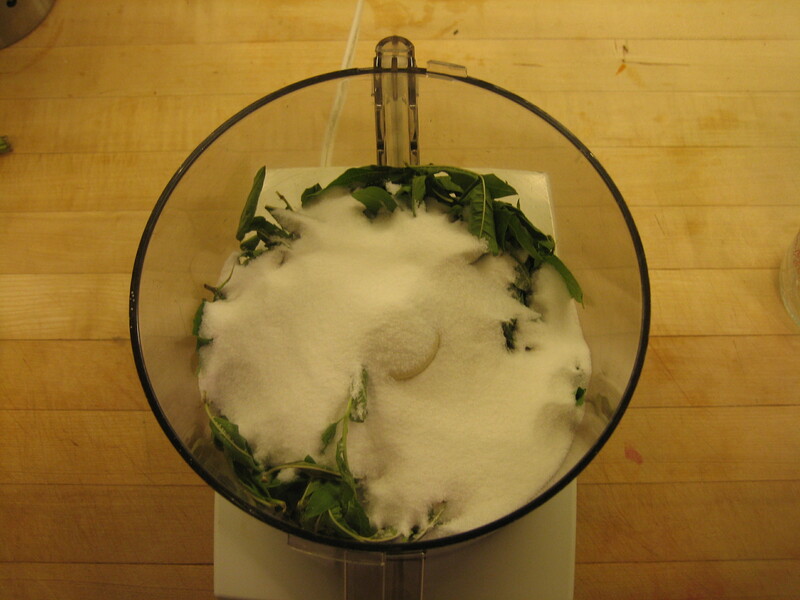 In work bowl of food processor, combine lemon verbena leaves and sugar. 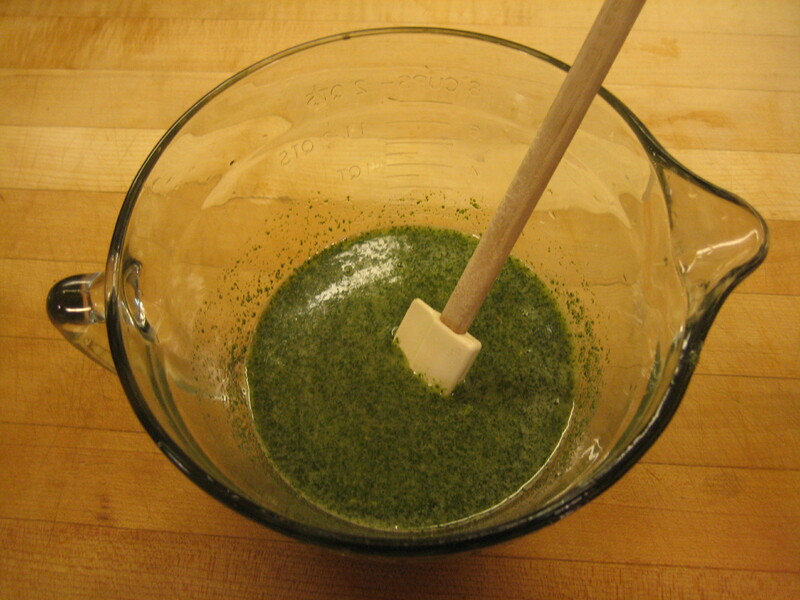 Process until verbena is well ground and forms a paste with sugar. Juice lemons. 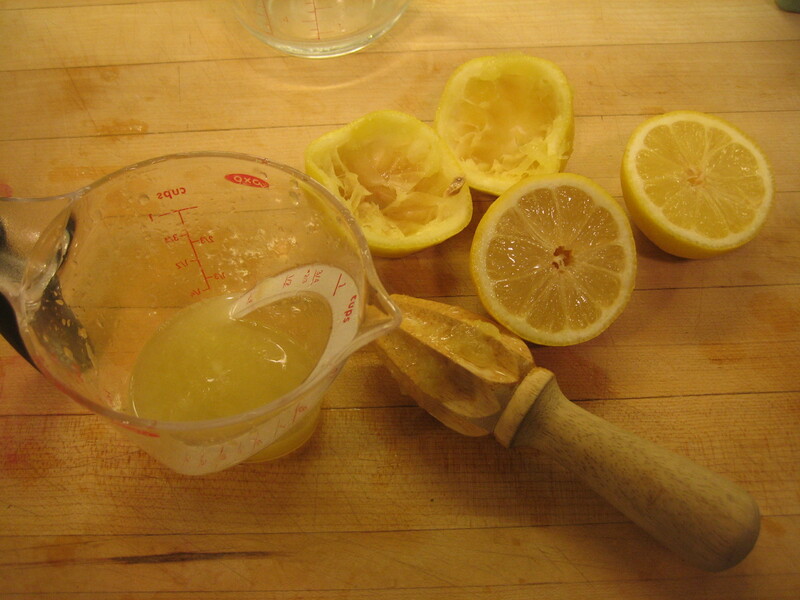 Here I am using a reamer — a very handy tool when you need a little fresh lemon or lime juice. You extract much more juice than by squeezing by hand. You will need more than the recipe calls for because you will be straining out the seeds and pulp. Strain out seeds and pulp from juice. 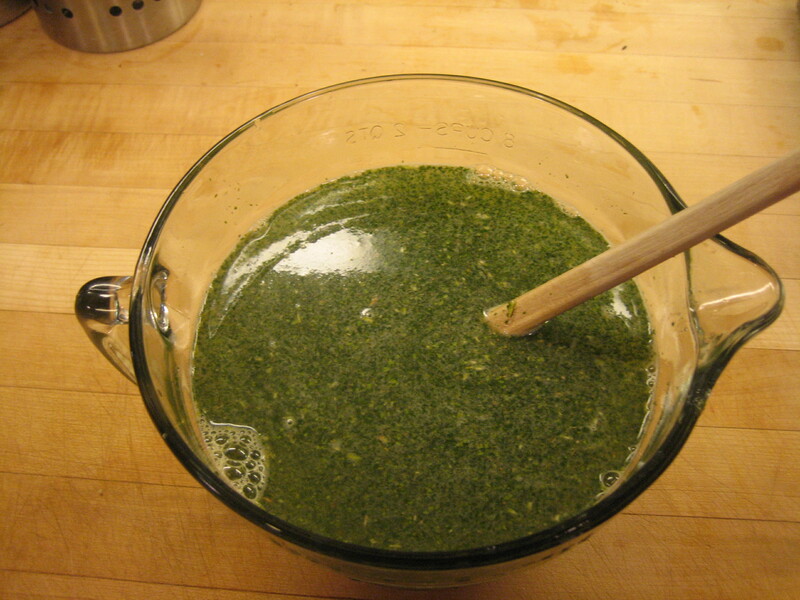 Add lemon juice to lemon verbena-sugar mixture and process until incorporated. Transfer from food processor to bowl. 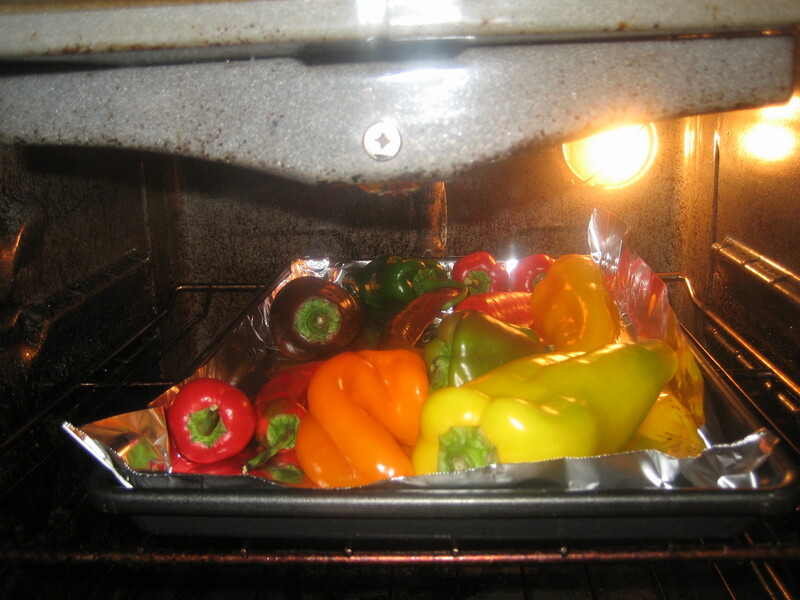 Add water and chill in refrigerator overnight or for at four hours until cold. Freeze according to directions of your ice cream maker. I use an electric Cuisinart ice cream maker with which you can make continuous batches. If you are using an ice cream maker that pre-freezes a bowl, you may reduce the recipe proportionately or make two batches, refreezing your bowl if required. Inexpensive ice cream makers that requiring pre-freezing of bowl work very well and provide an excellent “entry level” frozen dessert making. They cost about $50 and make up to 6 cups at a time. The Cuisinart that I use costs about $300 new, though Home Depot sells reconditioned models at $159. When serving any ice cream or sorbet, be sure to remove it from the freezer at least 20 minutes before serving to temper it, meaning to allow it to soften so you can scoop it and the texture is better for eating. Here it is from On the Table: Farm Stands of Lancaster Co.. I served it with lightly macerated nectarines and golden raspberries along with a Market Day canale. Canele are molded desserts that fall somewhere between a caramelized custard and cake. 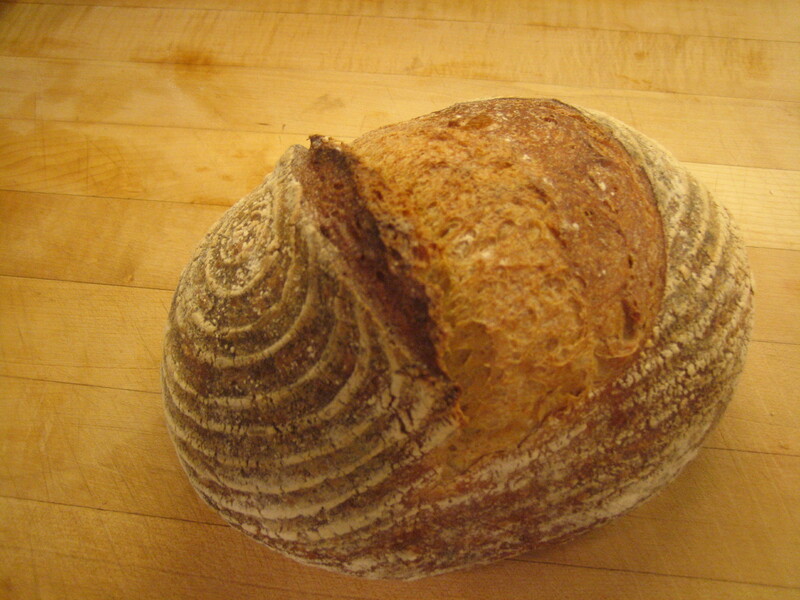 Market Day canale are available in Philadelphia at the Clark Park, Rittenhouse Square and Headhouse Farmers’ Markets as well as other retail locations. Click here for details. 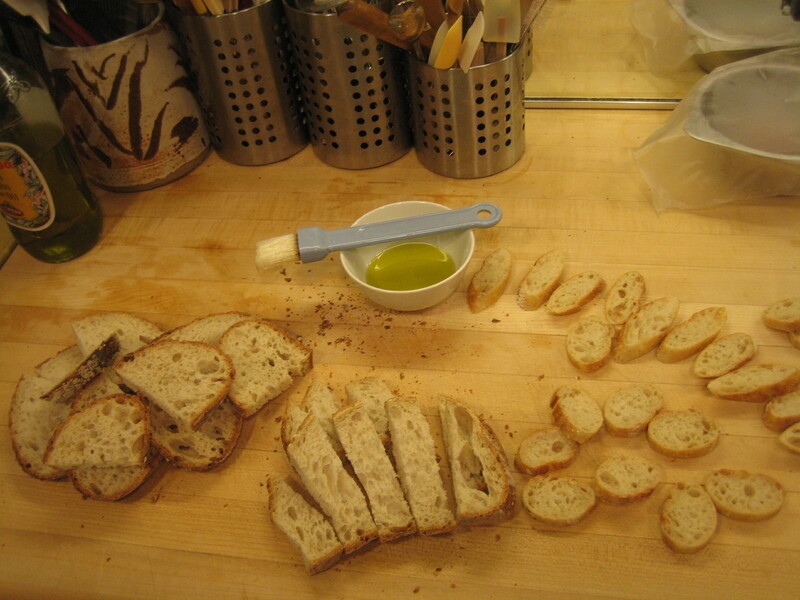 Metropolitan Bakery also makes wonderful canale. 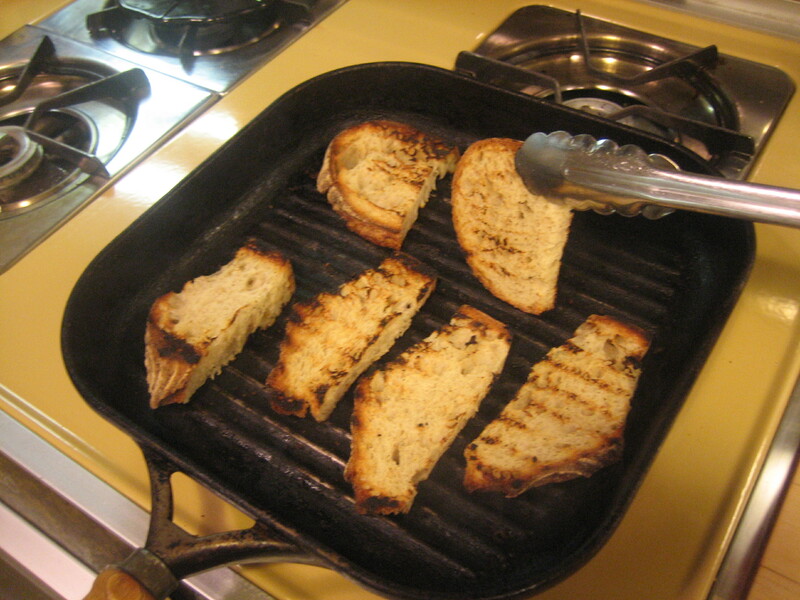 There are nearly 100 recipes on the At Home by Steve Poses blog. Recipe Index. 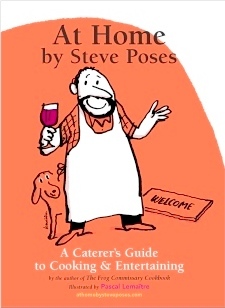 There are more than 400 recipes plus tips, fun stories and wonderful Pascal Lemaitre illustrations in At Home by Steve Poses: A Caterer’s Guide to Cooking & Entertaining. Learn more.